Welcome to 10904 Rock Ridge Place in the prestigious Rock Springs neighborhood. This new home (built in October 2015) would fit many people's description of a dream home. Every upgrade you could ever dream of can be found in the home, starting with the outside. 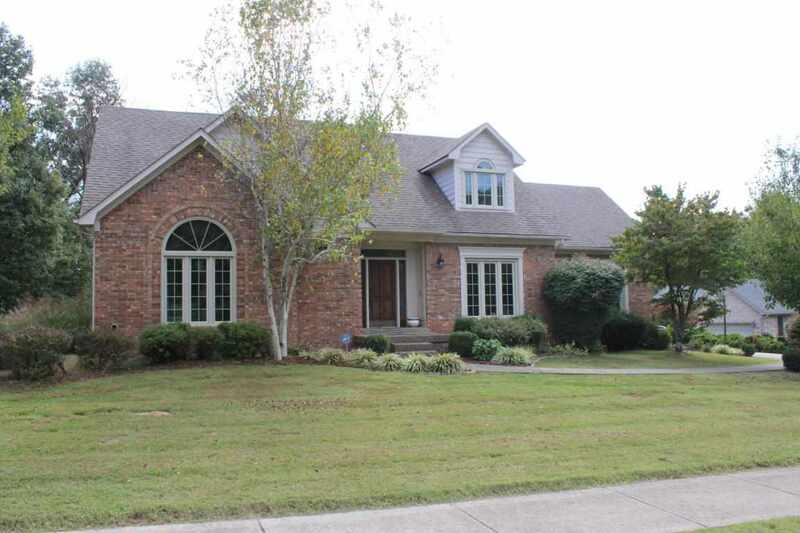 This brick/stone ranch home was custom built by the award-winning Deville Homes. 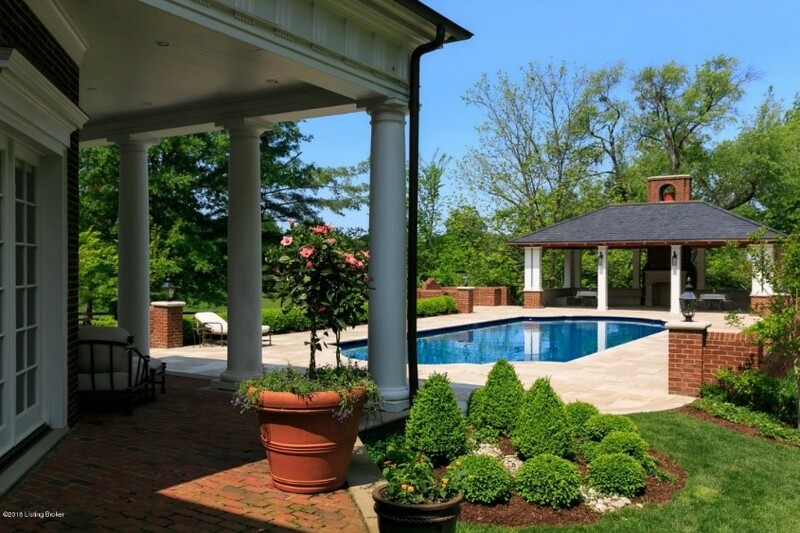 This home features a phenomenal landscape package with an 11-zone irrigation system. The exterior also includes underground downspout runoff with yard pop-ups and termite treatment of all wood framing prior to drywall, not just foundation pre-treat like most builders do. Enter the home through the beautiful covered stone entryway. 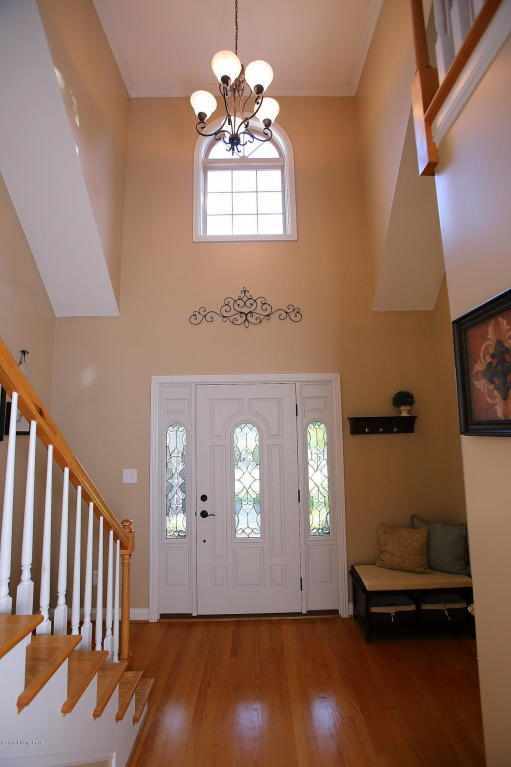 On the inside, you are greeted by a spacious foyer with a chic light fixture. Note that this beauty features custom trim in every room, Natural Hickory hardwood floors throughout, large plantation shutters throughout, whole house surge protection, paddle style light switches, halogen recessed lighting, additional attic insulation, and dual flushing toilets. 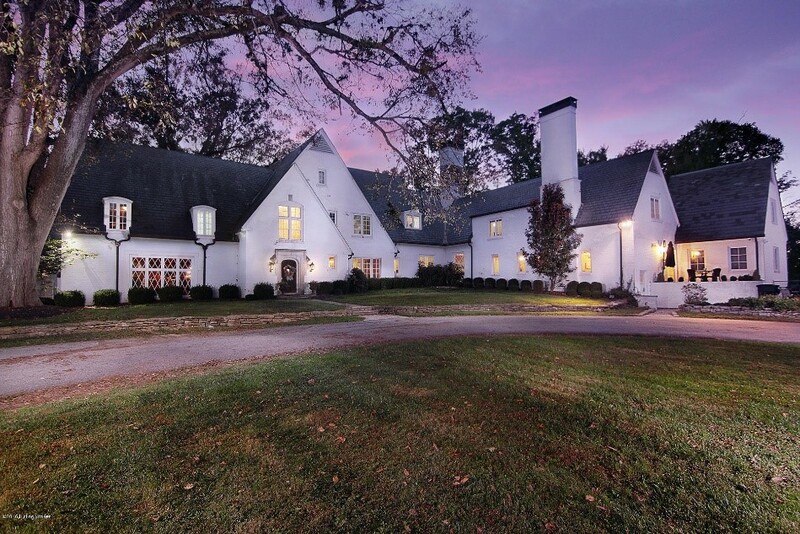 To the right of the foyer, enter through the two large French doors into the fourth bedroom. This room would be great for a home office or a guest suite. This home includes hardwood floors, a ceiling fan, and windows with views of the lovely front yard. 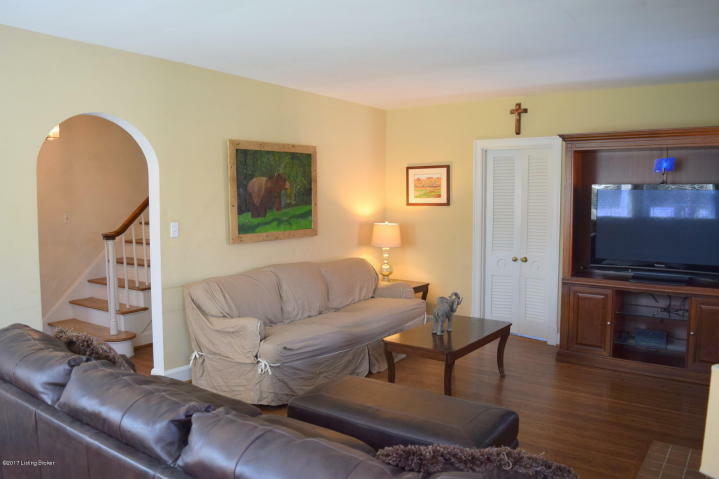 Directly in front of the foyer is the wide open family room. 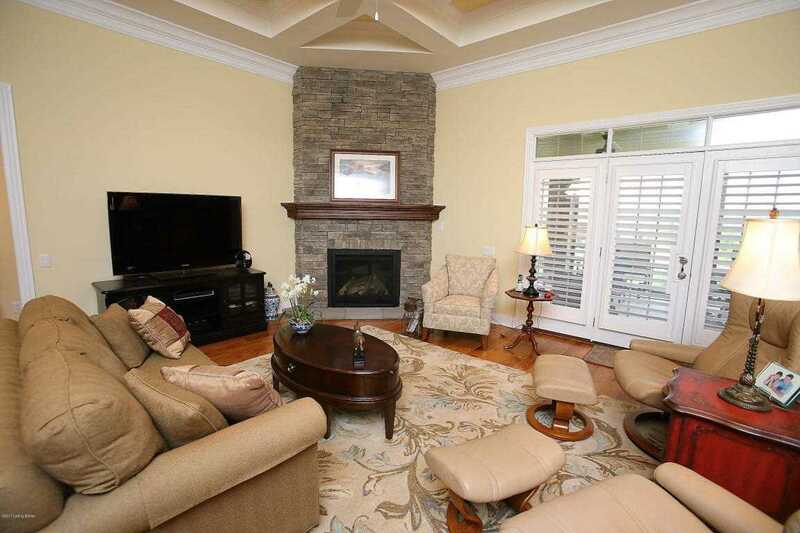 In the family room, you can find hardwood floors and a stunning dry stack stone corner gas fireplace with mantle. Make sure to look up at the gorgeous octagonal coffered ceiling with can lighting and a ceiling fan! There are French doors in the family room that lead to an enormous covered, screened-in rear porch with ceiling fan, overlooking a meticulously landscaped rear yard. 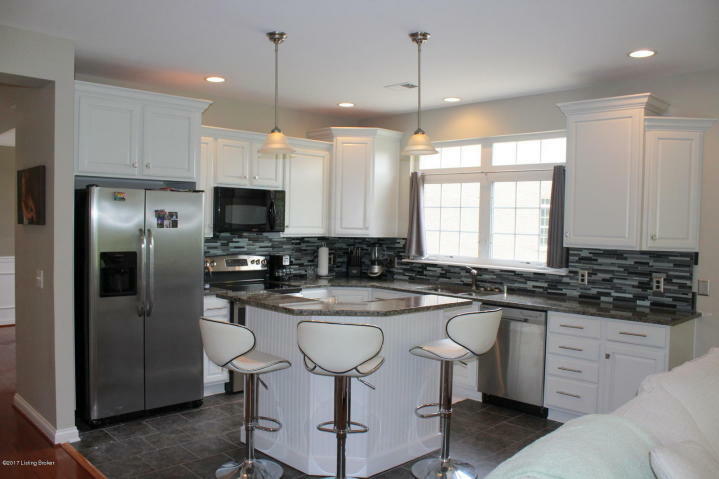 The kitchen can be accessed through the family room. The kitchen is very open and well-lit by can lights and multiple pendant lights. The kitchen features ample custom white cabinets with pull out shelves, shelf-closing drawers, black and white granite, center island, ceramic tile backsplash, and stainless steel appliances. The center island has seating space for 10 people. The eating area has hardwood floors, crown molding, and several windows. The owner's suite is on the left side of the home and is absolutely spectacular. 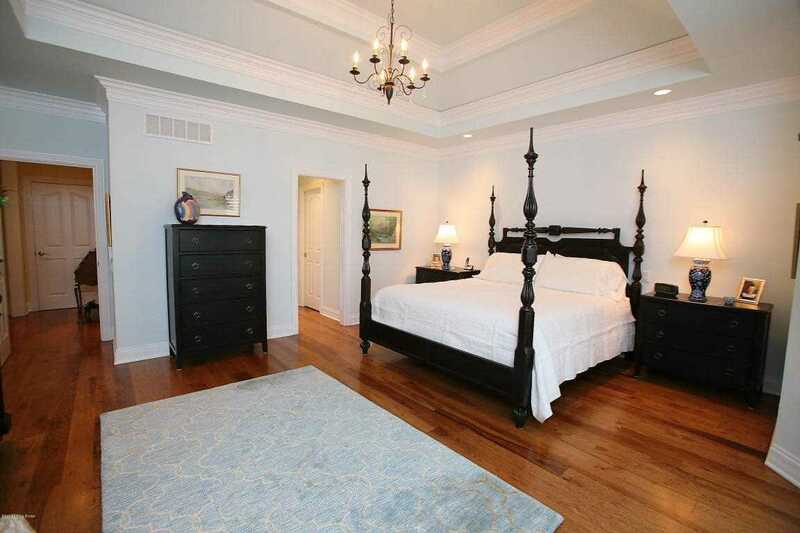 You'll love the ample space, triple tray ceilings, timeless chandelier, and hardwood floors. The owner's bathroom features dual granite top vanities, two oval oil-rubbed bronze mirrors, ceramic tile floors, toilet room, claw-foot bathtub, and separate ceramic tile sit-down shower with glass door. There are TWO walk-in closets in the owner's suite that are huge and include multiple racks and shelves. 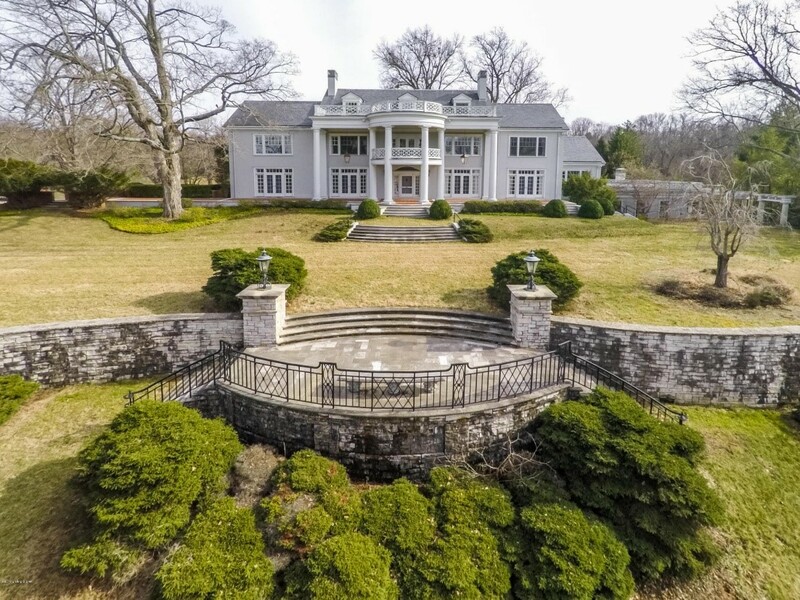 The owner's suite is on the left side of the home and is absolutely spectacular. You'll love the ample space, triple trey vaulted ceilings, crown molding, timeless chandelier, and hardwood floors. 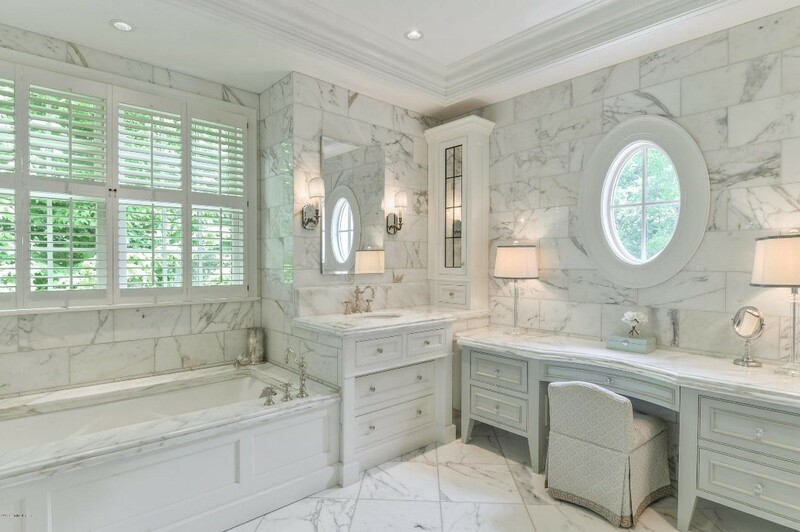 The owner's bathroom features dual granite top vanities, two oval oil-rubbed bronze mirrors, ceramic tile floors, toilet room, claw-foot bathtub, and separate ceramic tile sit-down shower with glass door. There are TWO walk-in closets in the owner's suite that are huge and include multiple racks and shelves. There are two other bedrooms on the right side of the home. These bedrooms share a full bath with separate vanities, granite tops, a common toilet and tub room, and a linen closet. 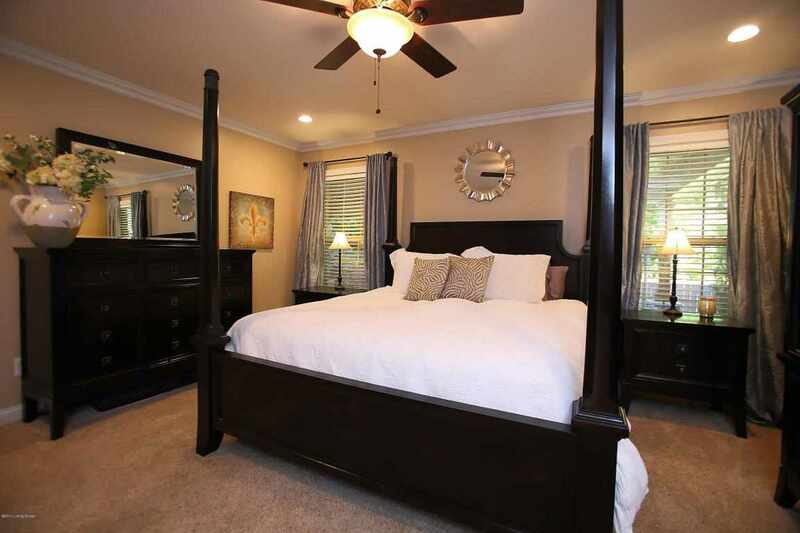 The bedrooms have hardwood floors, ceiling fans, crown molding, and large walk-in closets. Finishing out the first floor is a powder room with granite top vanity with glass bowl sink, a butler's pantry for additional storage, a writing or planning desk, and a huge laundry/mud room. The laundry/mud room includes two closets and cubby area with bench seat, as well as storage above and below lots of coat hooks, additional custom cabinets, and laundry sink. The laundry room has plenty of cabinets and countertops to fold clothes and for storage. The attached two and a half car garage has a two-car garage door but is large enough to fit three cars. You will also find a standard door to the driveway for easy access. The area above the garage is accessed via a pull-down stair which includes an expansive amount of carpeted storage space. 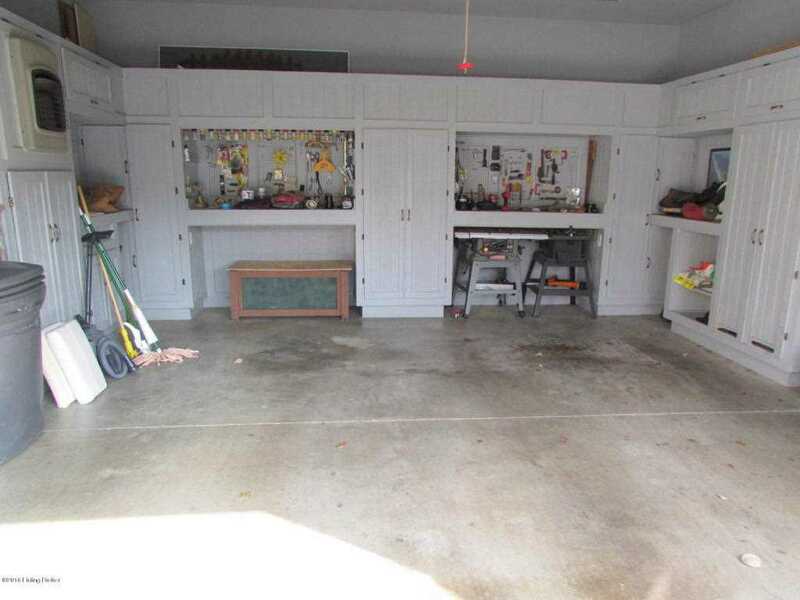 The garage also has a sink and pegboard work area along with extra space to store your lawn equipment without getting in the way of your cars. The lower level of the home is unfinished and is awaiting your dreams. There is a finished storm shelter room, which is surrounded by concrete and includes both lighting and power. There is also a roughed-in full bathroom, security system, additional water faucets on the exterior, separate water meters for water and irrigation with water faucets on the irrigation system side so you are not paying sewer charges on additional outside water usage. Lastly, you will find a Carrier HVAC system, electronic WIFI thermostat, humidifier, water softener and more. You will absolutely love this home in Rock Springs. Rock Springs is conveniently located a couple miles from the Paddock Shoppes, and you can be downtown in a little over ten minutes. 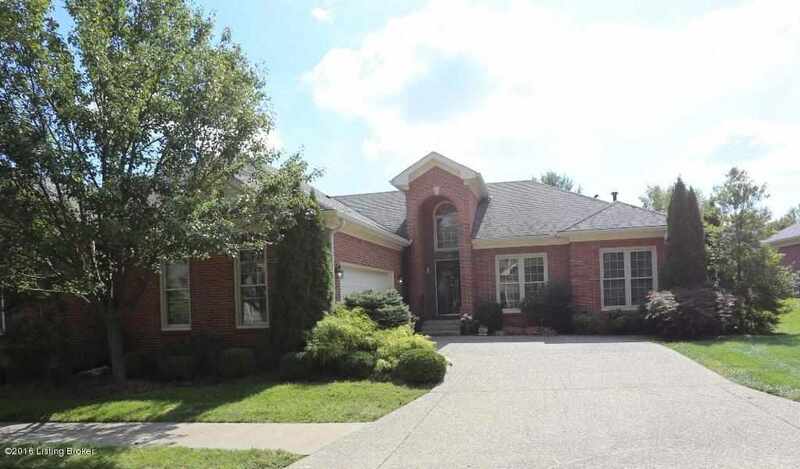 Please call the Hollinden Team to set up your private showing today: (502) 429-3866. Welcome to 15330 Royal Troon Ave. in the prestigious Valhalla Vista neighborhood! 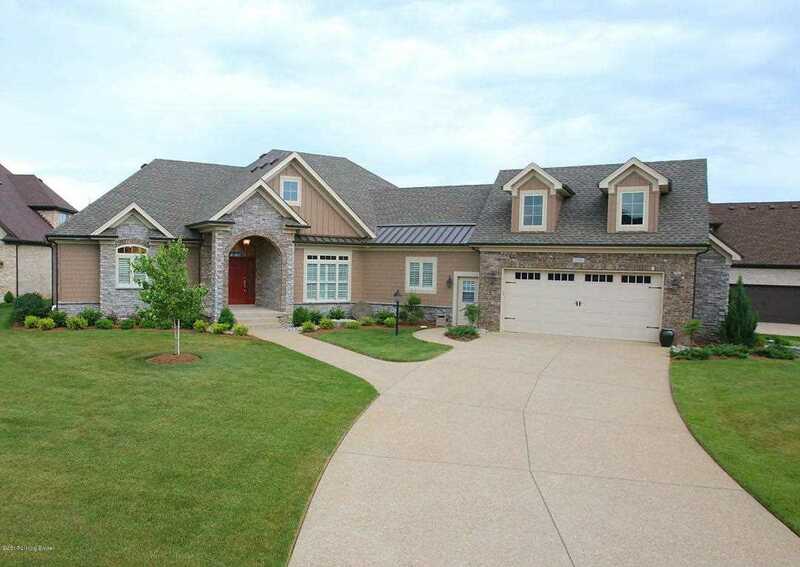 Vahalla Vista is located off Shelbyville Road across from the award-winning Vahalla golf course. This condo is ten years old but looks brand new. Upon arriving at this condo, you are greeted by a perfectly manicured landscaping and an all brick stately entrance. To enter the condo, you have your own private elevator! Inside you immediately entry the foyer that includes gorgeous hardwood flooring and neutral paint colors. You will find the neutral paint colors throughout the whole condo. Move to the kitchen and you'll fall in love with the beautiful updates. 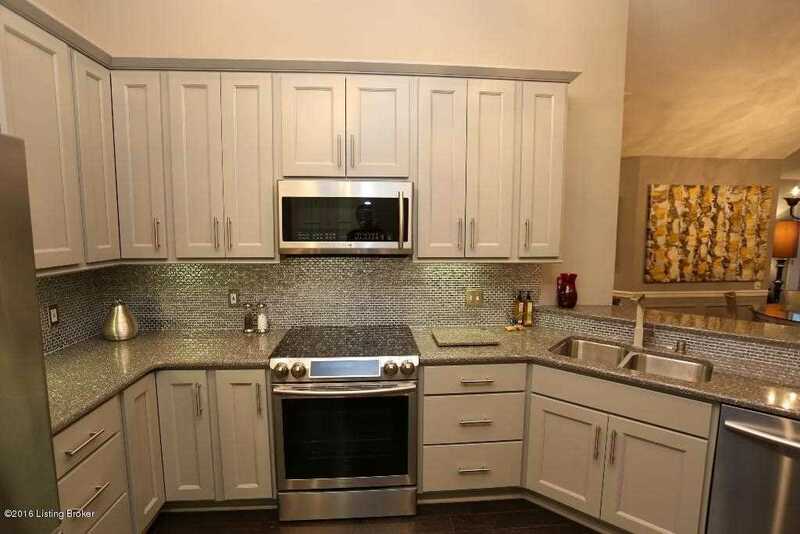 In the kitchen, you will find a glass mosaic tile backsplash, white cabinetry, granite countertops, stainless steel appliances, center island, and elegant light fixtures. The kitchen is open to the great room which creates a nice flow when entertaining. 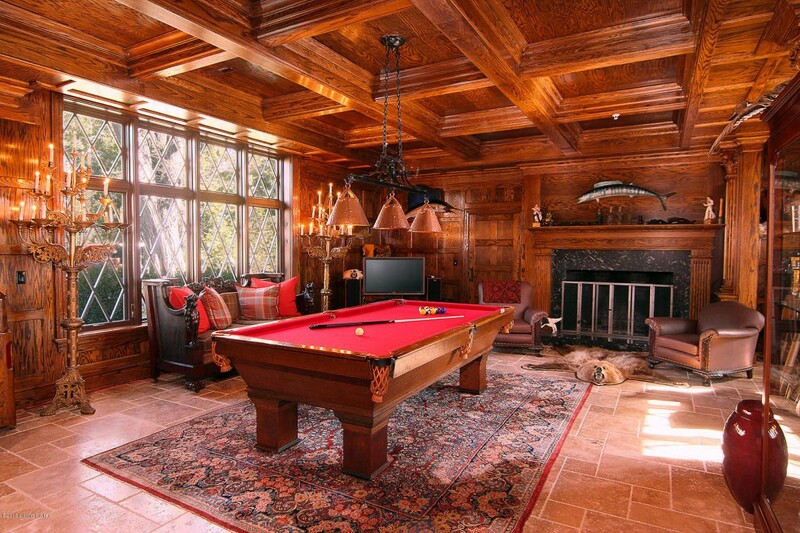 The great room includes hardwood floors, a fireplace with a mantle, and a ceiling fan. 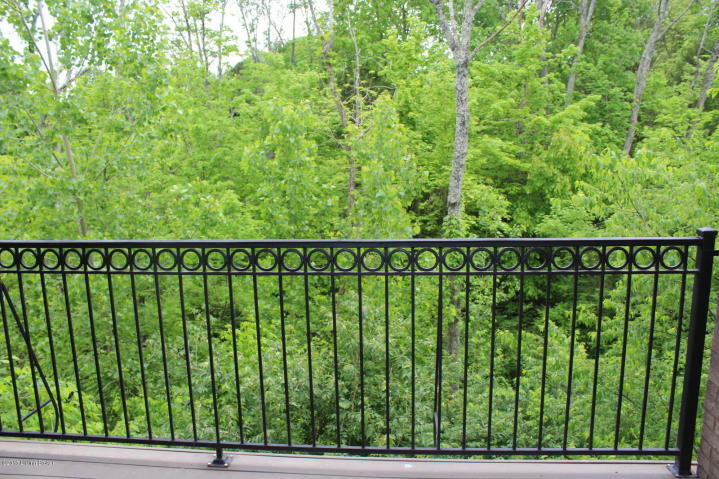 From the great room, you can access the balcony which provides spectacular views of the wooded area behind this condo. You will love the privacy and this will be a perfect place to relax. Next to the kitchen is the dining room area that includes wainscot, updated chandelier, and more beautiful views of the wooden area. 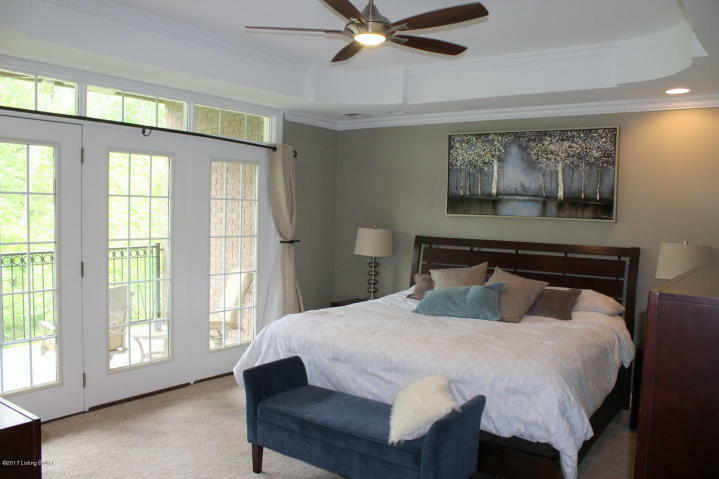 Moving to the master bedroom, you will find tray ceilings, an updated ceiling fan, can lighting, and carpet to keep your toes warm on chilly mornings. One of the best features of this room is the triple French doors that lead to the balcony. Once again, another room that provides phenomenal views of the outdoor area. The master bathroom features a double vanity with granite countertops, tile floors, separate toilet room, a garden tub, and a separate glass enclosed shower. 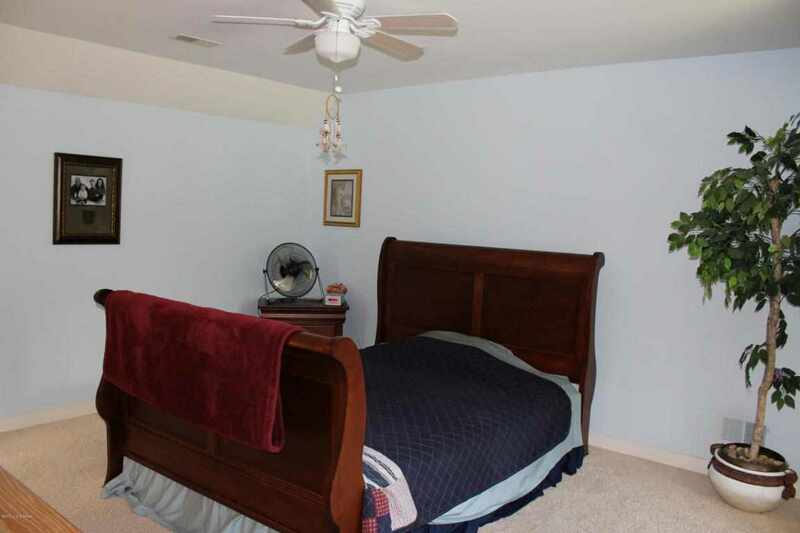 This condo also has two additional bedrooms that both include carpet and a ceiling fan. One bedroom has the same gorgeous triple French doors that lead to an additional patio area. The second full bathroom in this home has a granite countertop vanity and a separate combined shower and toilet room. 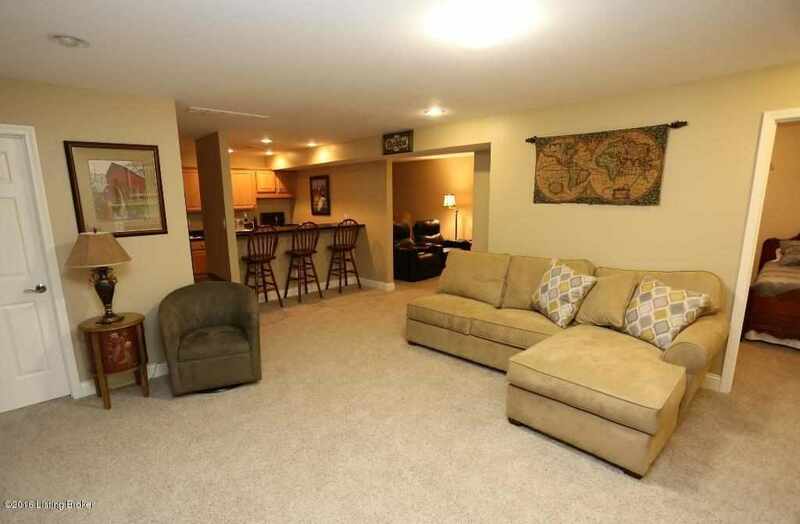 This condo also includes a THREE car garage that provides plenty of room for storage. 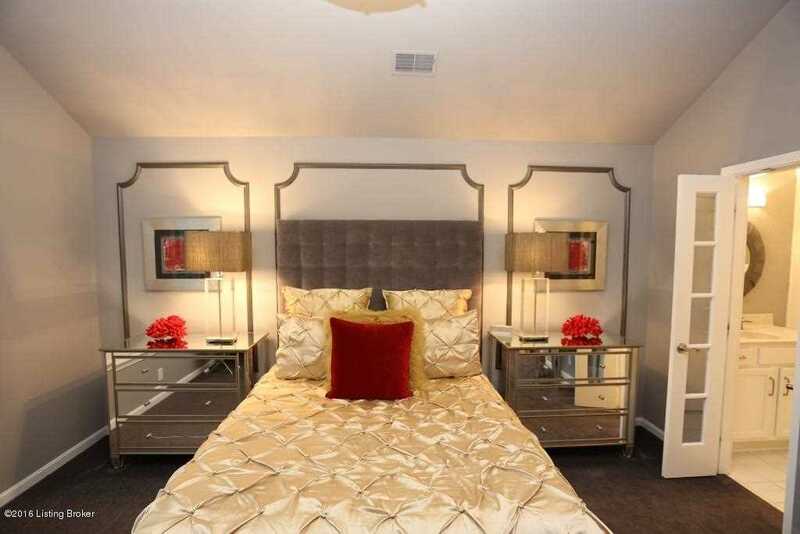 For more information on this upscale Vahalla Vista condo, call the Hollinden Team at (502) 429-3866. Welcome to 14628 Inspiration Court, located in the desirable Woods of Landis Lake neighborhood. Approach this stately traditional style five bedroom and four full bathroom home and you will notice the lush green lawn with mature trees. There is a two car garage located on the side of the home and a wide driveway, equipped for parking many cars when entertaining. 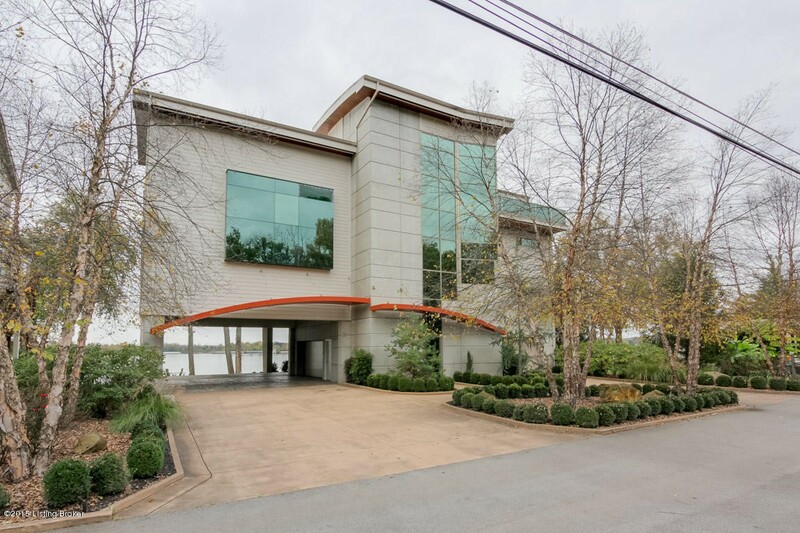 Walk through the oval glass front door and you will immediately enter the two-story foyer. The foyer features neutral paint colors, ceramic tile floor, chic light fixture, and the staircase to the second floor. Neutral paint colors can be found through most of the home. 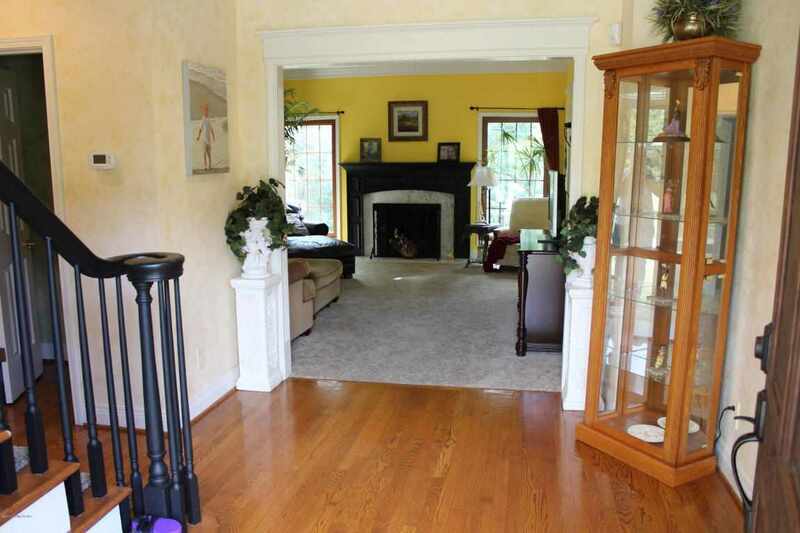 To the left of the foyer is the living room which includes an arched entrance with column accents, carpet, and can lighting, Directly in front of the foyer is the family room. The family room has carpet, vaulted ceilings, gas fireplace with mantle, large windows, and doors to access the back porch. 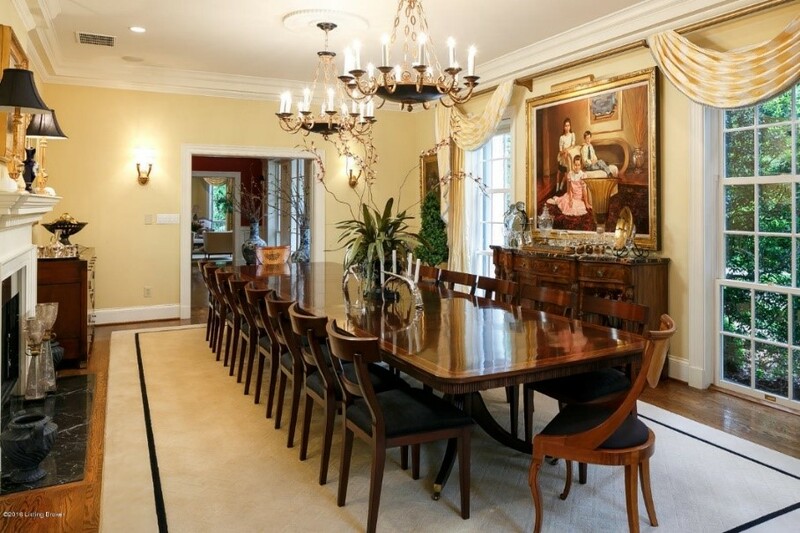 The dining room is located to the right of the living room, creating a nice flow for entertaining. In the dining room, you'll see the same arched entryway and elegant columns found in the living room area. 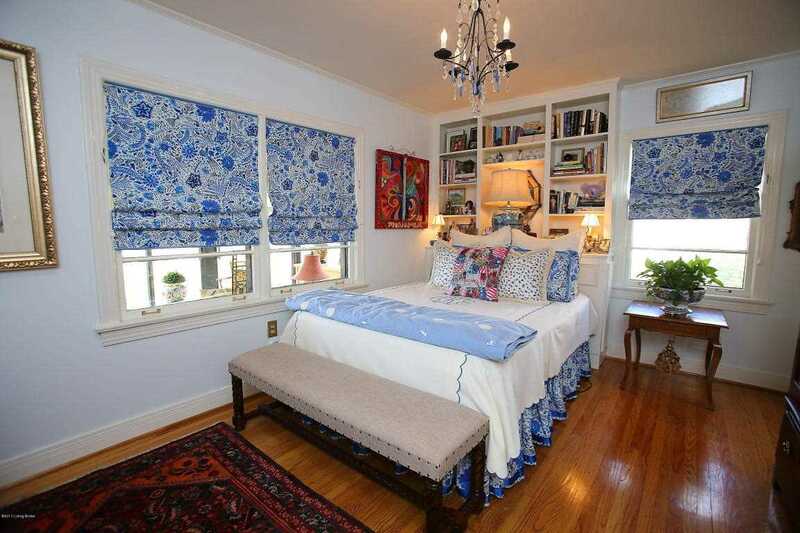 This room also includes tray ceilings, crown molding, carpet, and a modern light fixture. There is an entrance to the eat-in kitchen from the dining room. 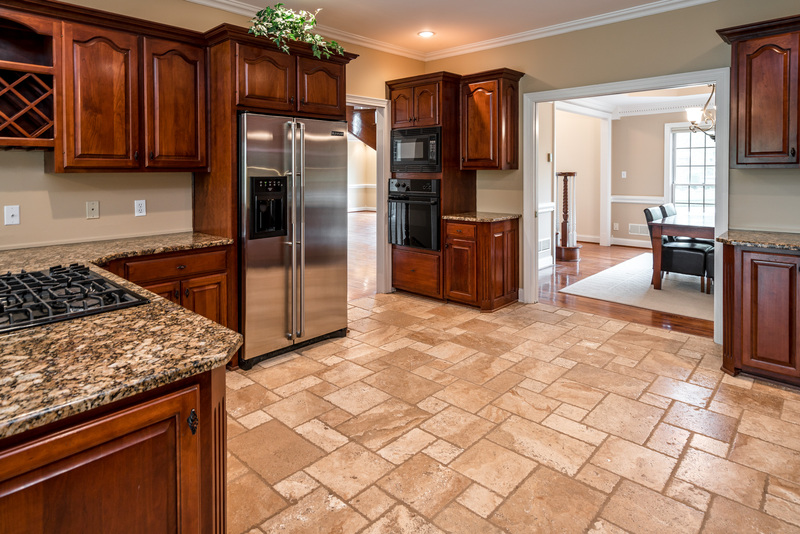 The kitchen boasts ample cherry cabinetry, can lighting, ceramic tile flooring, and updated black appliances. 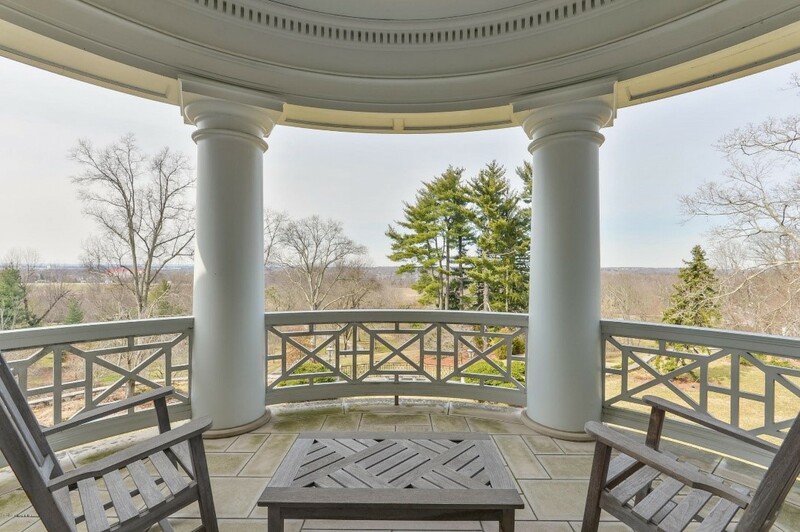 From the eating area, you can access the covered porch that offers a million dollar view of a private wooded area. Lastly, the first floor also includes a bedroom, full bathroom, and laundry room. Walking up the steps to the second floor, you are greeted by a lovely catwalk that offers views of the first floor. 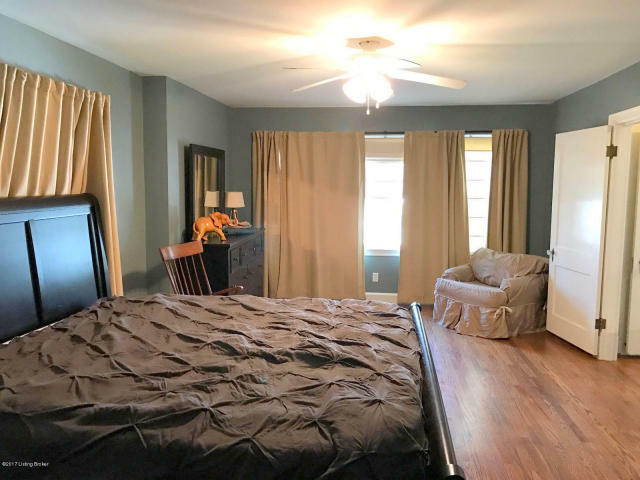 The owner's suite features carpet, tray ceilings, can lighting, a ceiling fan, large walk-in closet, and ample windows allowing in plenty of natural light. The owner's bathroom includes ceramic tile floors, neo-angle stand-up shower, whirlpool tub, and a dual vanity with cherry cabinets. 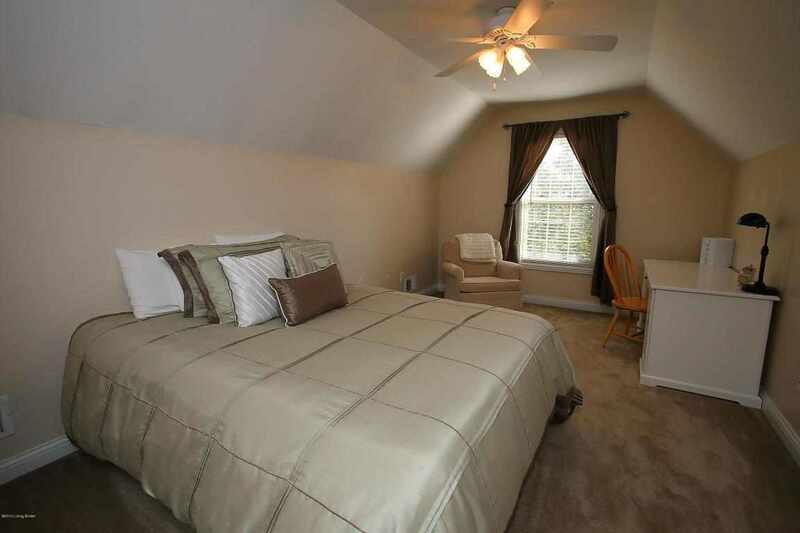 There are three additional bedrooms on the second floor, each including a ceiling fan and carpet flooring. The second full bathroom on the second floor features a nice dual vanity with cherry cabinetry. 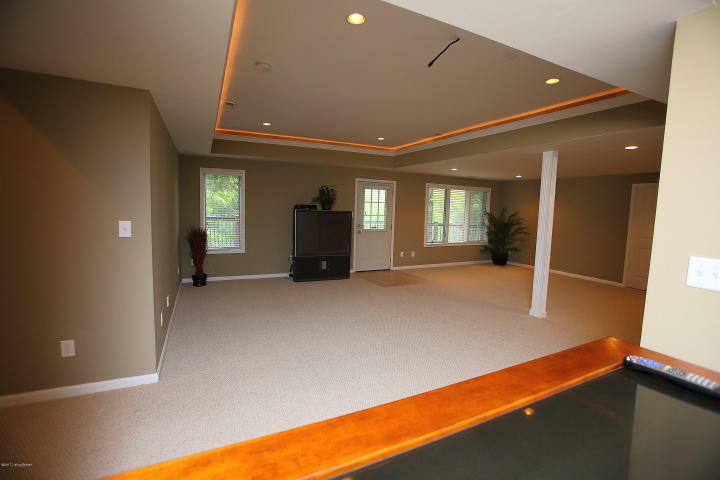 The walkout basement could be the new owners' favorite space for entertaining. The basement includes an open family room, bar area, full bathroom, and a workout room. 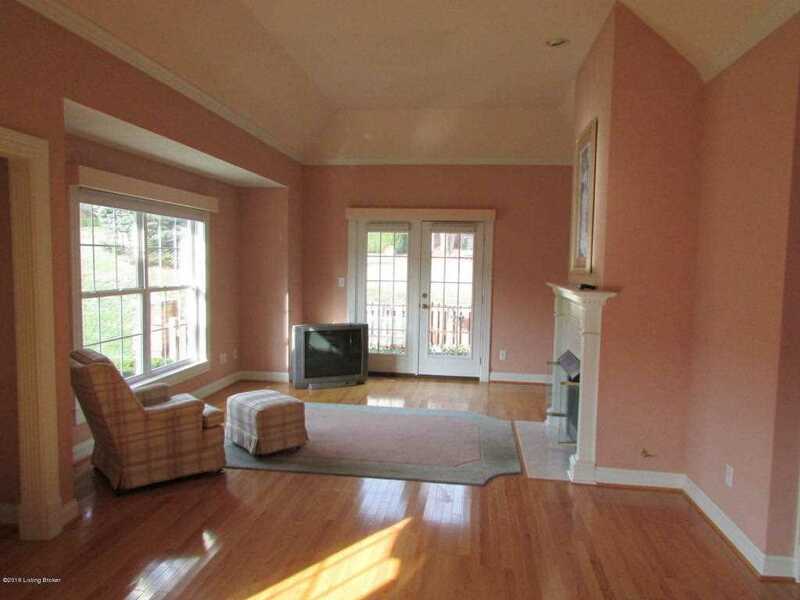 The family room boasts carpet, can lighting, tray ceilings, and a beautiful taupe paint color. 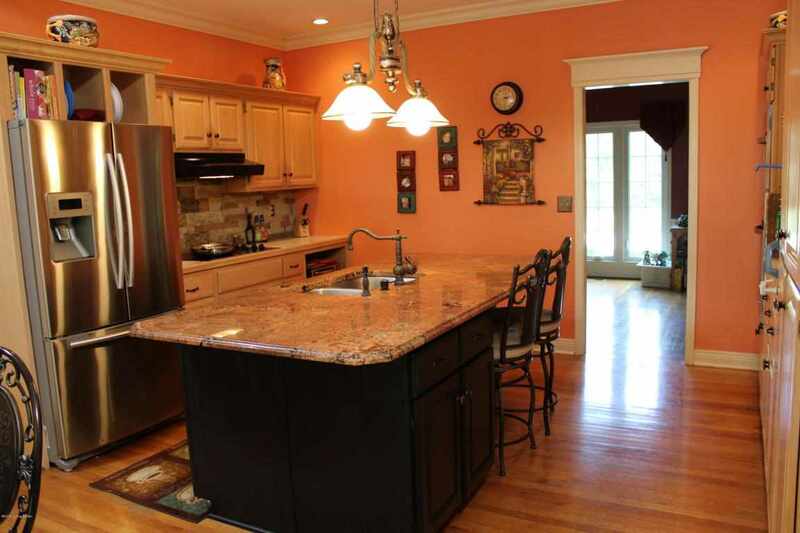 The bar area has cabinetry, tile floors, granite looking countertops, and a sink. Walk out the door to the porch and you have reached the second level to the double decker patio that completes this stunning home. 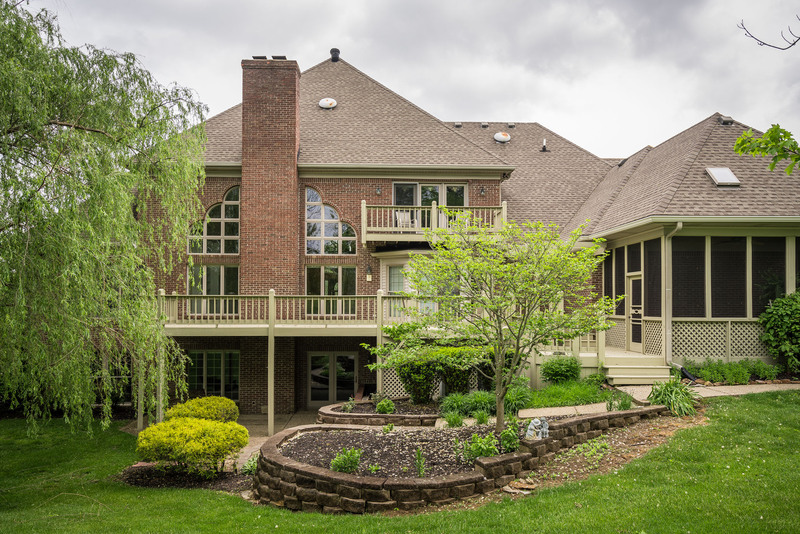 For more information on this exquisite Woods of Landis Lake home in eastern Jefferson County, contact the Hollinden Team at (502) 429-3866. 915 Perryman Road is no longer on the market. 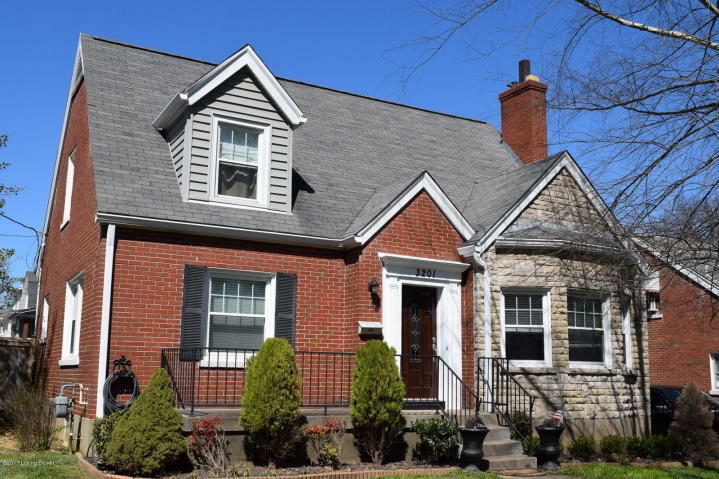 To learn more about homes for sale in St. Matthews, call the Hollinden Team at (502) 429-3866. 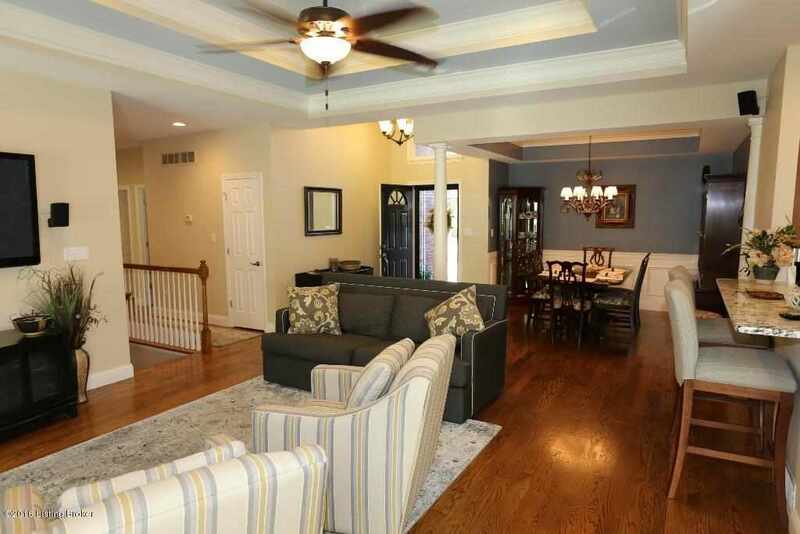 Welcome to 915 Perryman Road, a must-see home filled with designer upgrades throughout. 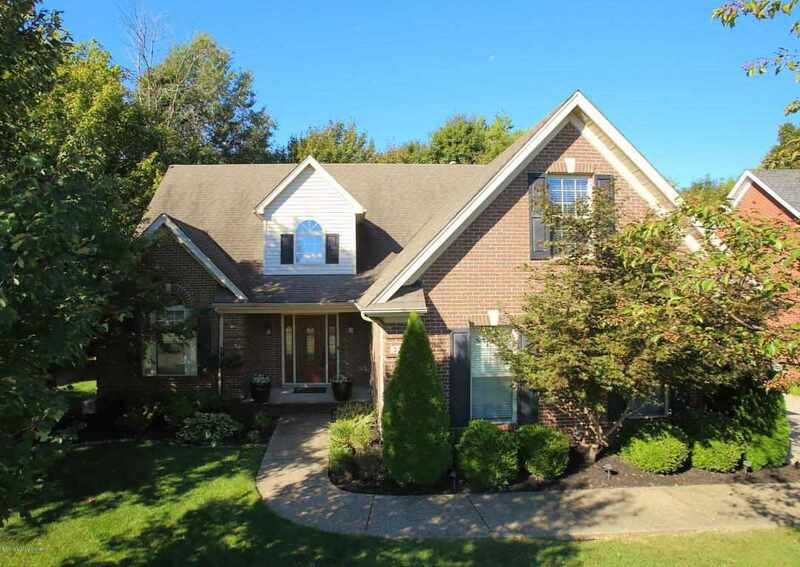 This home is located in Woodlawn Park, an established neighborhood in the desirable St. Matthews KY area. Living in this area, you are centrally located to the whole city and close to expressways and shopping. 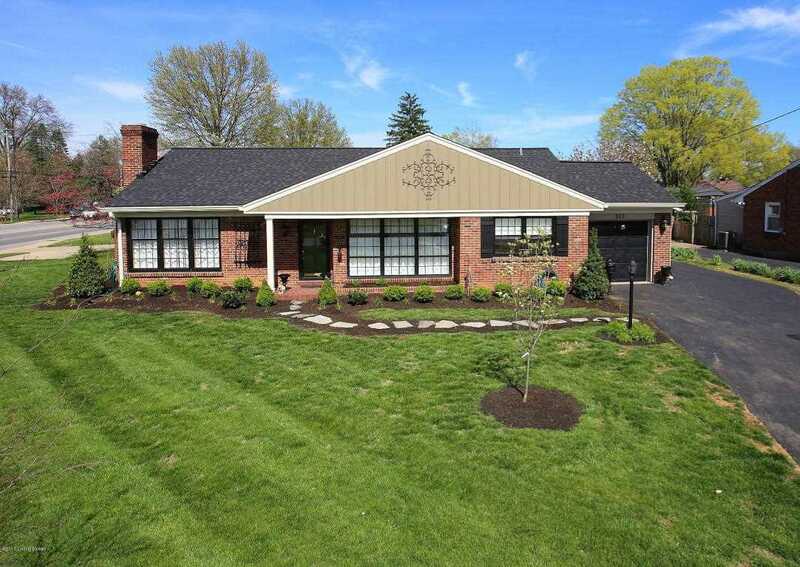 Approach this completely renovated ranch home and you will immediately notice the well-maintained large front lawn and manicured landscaping. The landscaping includes seven Jolly Green Giant Arborvitaes (along Westport Roadside), a white DogWood American Beech tree (offer beautiful leaf color in the fall), and an Aspiring Red Maple tree. There are all new bushes and trees in the front and backyard and the lawn has been treated for grub worms. This home has been freshly painted on the outside and inside and there is a brand new roof and new gutters. The current owner had added electrical outlets to the porch for lamps and other appliances. The front door is custom made and has a shatter-proof glass with Baldwin solid brass knocker and handle. 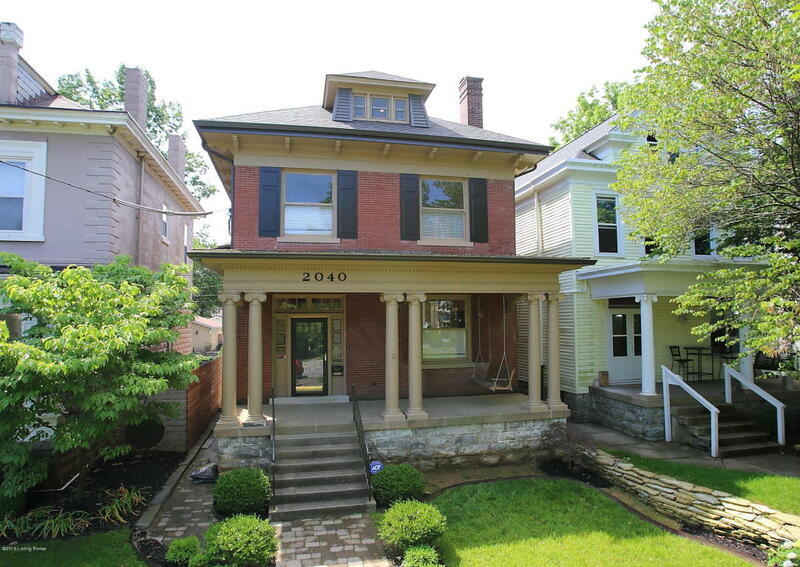 Also, the following items are new: two doorbells, column on the front porch, tile to front steps and side entrance, street numbers on front and side porch, Tennessee rock sidewalk with ivy in the front yard, and exterior light post. The lighting in the front and side of the garage is Hinkley Lighting (top of the line lighting). There is a brand new garage door and garage door motor. The garage is freshly painted on the inside with two new shelves installed for storage. The driveway was sealed in October 2016. Note that all doors in this home are new and are solid wood with solid brass knobs and hinges. All windows in this home have new brass handles and knobs and the glass has been re-glazed (the window locks came from Klein). There is all new crown molding throughout the entire house and all ceilings and the walls have been painted (with oil-based paint) and re-plastered. In addition, there is new recessed lighting in the laundry room, dining room, kitchen, living room and the bathrooms. Eight new“Velux' sun tunnels have been added to different rooms guaranteed to never leak. New lighting has been put in all closets. Entering into the home and you are greeted by the living room. Many updates have been made to this room. Four sets of new electrical outlets have been added and a new door was added in the living room with glass paneled moldings and custom door knob (a convenient way to the side porch). The living room features a new gas fireplace (the gas line was added to the fireplace), new custom mantle with rainforest marble hearth, hardwood floors, and custom built-in cabinets with fresh paint. In the hallway, there is a new wrought iron lantern light with glass panels. The attic pull down staircase was removed, re-plastered and repainted (new attic opening in towel closet with a new door added). A brand new extra closet was added in the hallway with accent molding. The old door in the hallway was taken out and the ceiling was sanded and repainted. Directly across from the living room is the dining room, creating a nice flow for entertaining. There is a custom built arched cased opening from the living room to dining room. The height was made much larger and wider and a new design was added to the wood with keystone at the top. The dining room features floor to ceiling windows, recessed lighting, wallpaper from France, and hardwood floors. The chair rail, crown molding, and quarter round are all new. The eat-in kitchen is accessible from the dining room. 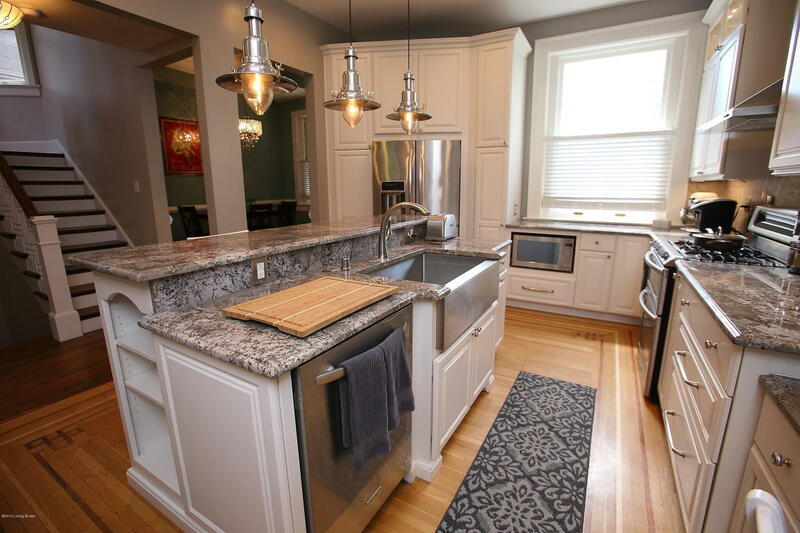 The kitchen has been completely gutted and has plenty of upgrades. The kitchen boasts real cypress hardwood floors, new white cabinets (hardware is from Klein's) with under cabinet lighting, chic pendant lighting, on-trend subway tile backsplash, Kohler faucet, new ceiling (painted and sanded and includes recessed lighting), newly painted walls, new electrical outlets, and white glacier Corian countertops. The neutral cabinetry, countertops, and backsplash allow the new owner plenty of options if they choose to change the paint colors. 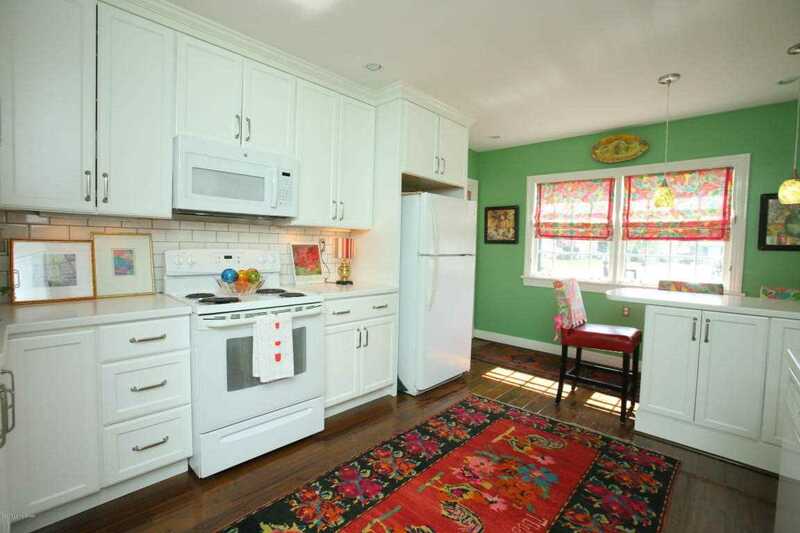 Also, take notice of the ample cabinetry offered. The new owners will have endless storage space in the kitchen area. The backdoor is also new and includes a solid brass handle, lock, and kick plate. Moving to the owner's suite, you'll find hardwood floors, built-in cabinets, and windows that allow in plenty of natural light. There are custom bookshelves and three storage units on each side of the bed. There is a new solid wood door with molding, new solid brass knobs and hinges, new molding on both doors and around the entire room, and new light installed in the clothing closet. 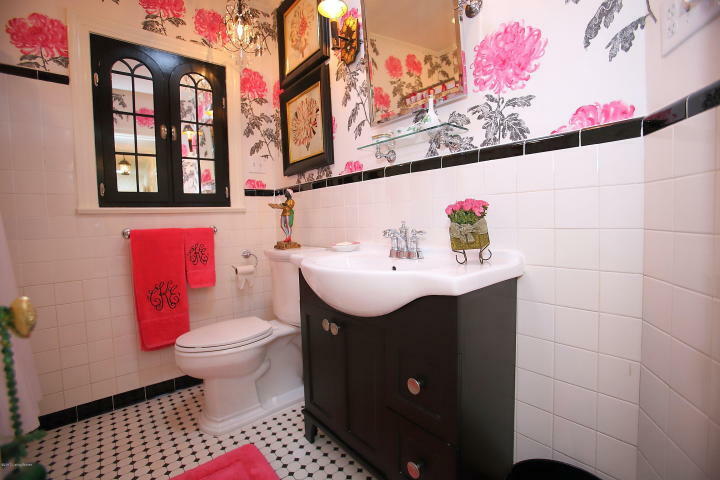 The owner's bathroom features European wallpaper (by Tricia Guild), new tall toilet, and a new vanity with sterling silver knobs and Kohler faucet. The bathtub was resurfaced and has a new faucet and handles. Other updates include new solid silver mirror with glass perfume slab, new bathroom door with solid brass door knobs and hinges, new recessed lighting, new electrical outlets, new exhaust fan, new glass added to panels, new marble quarter round added to entrance of bathroom, new crown molding added, replaced tiles on the floor and walls, new electrical outlet in the closet, and new miniature chandelier added along with antique lights on each side of the mirror. The vanity is custom built and has sterling knobs. The second bedroom also has hardwood floors and custom built-in cabinets, as well as a custom wooden storage unit built-in under double windows. The closet in this bedroom has two beautiful solid wooden estate doors with solid brass handles, kick plate, and glass. 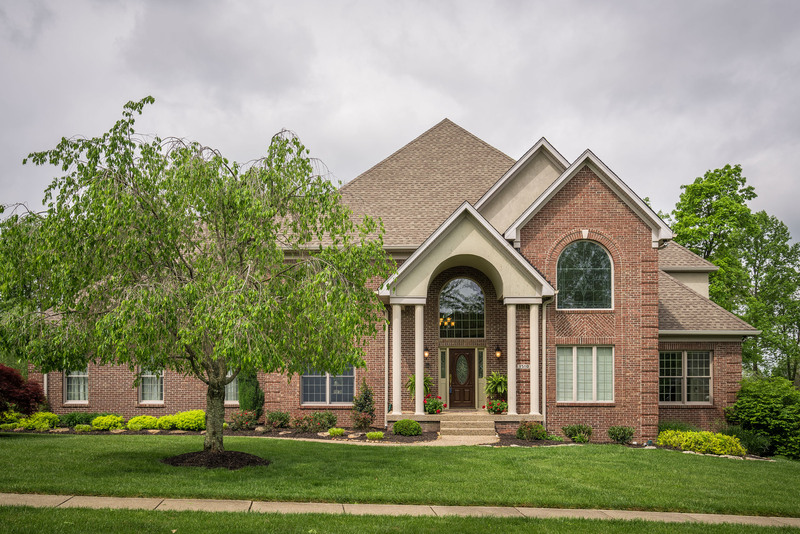 Welcome to 1902 Ashford Drive, a luxury six bedrooms and four bathrooms’ home in the Oldham County neighborhood Longwood. A home’s condition on the outside is a good determination of how a home will be maintained inside. This home is a perfect example of that. The curb appeal of this home is unparalleled. You will notice the perfectly manicured lawn and landscaping upon the arrival. The circular driveway in addition to the standard driveway provides ample parking when entertaining. Enter the home through the leaded glass door and you will be greeted by a large two story foyer and an open floor plan. Throughout the first floor, you will find beautiful red oak hardwood floors (except for in the owner's suite, bathroom, and great room). To the right of the foyer is the dining room and to the left is the home office. 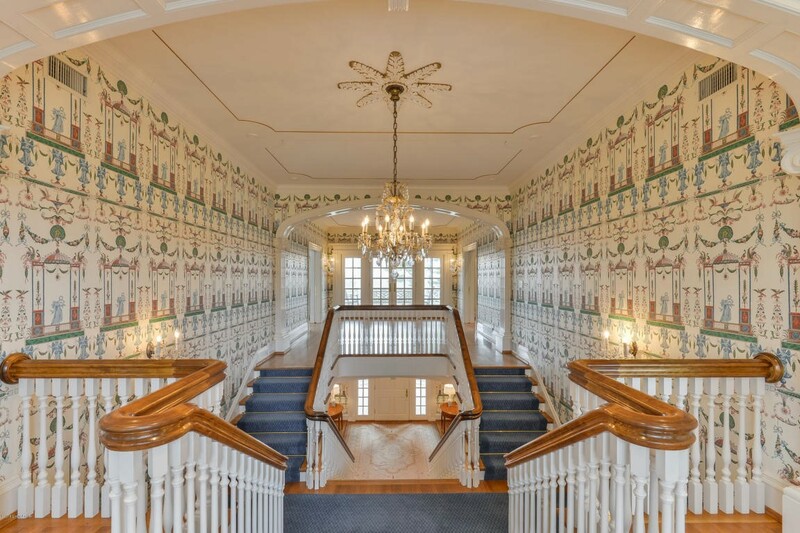 The dining room features columns in the entryway, wainscot, updated chandelier, a large window, and crown molding. In the office, you’ll find French doors, built-in shelving and cabinets, and another large window. Straight ahead from the foyer is the great room, which includes a Palladian window, vaulted ceilings, updated ceiling fan, can lighting, built-in shelves and cabinetry, and a fireplace with mantle. The great room opens to the kitchen, providing a nice flow for entertaining. The up-to-date kitchen contains stainless-steel gas range, two ovens, dishwasher, microwave, side-by-side refrigerator, granite countertops, and a spacious walk-in pantry. The eating area in the kitchen is spacious enough for a large kitchen table. From the eating area, you can access the covered and uncovered patio. Off the kitchen is a hearth room. 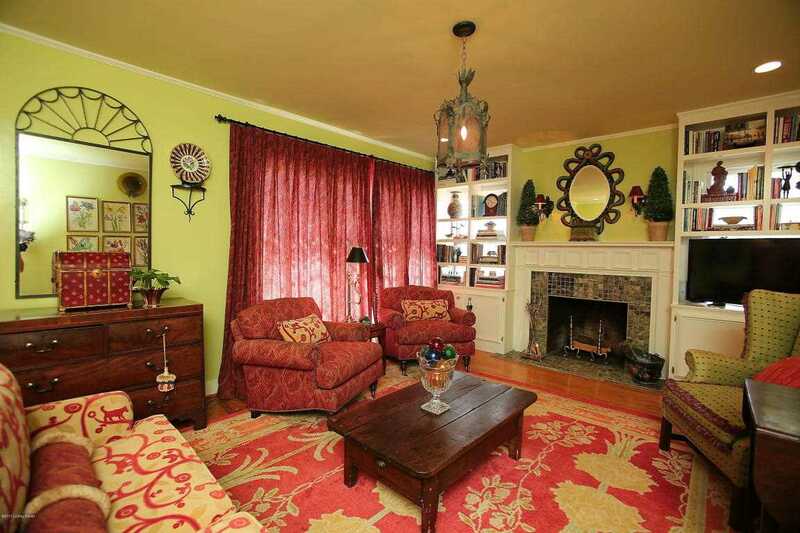 The hearth room has a huge Palladian window, vaulted ceilings, and a gas fireplace. The owner’s suite is located on the first floor. 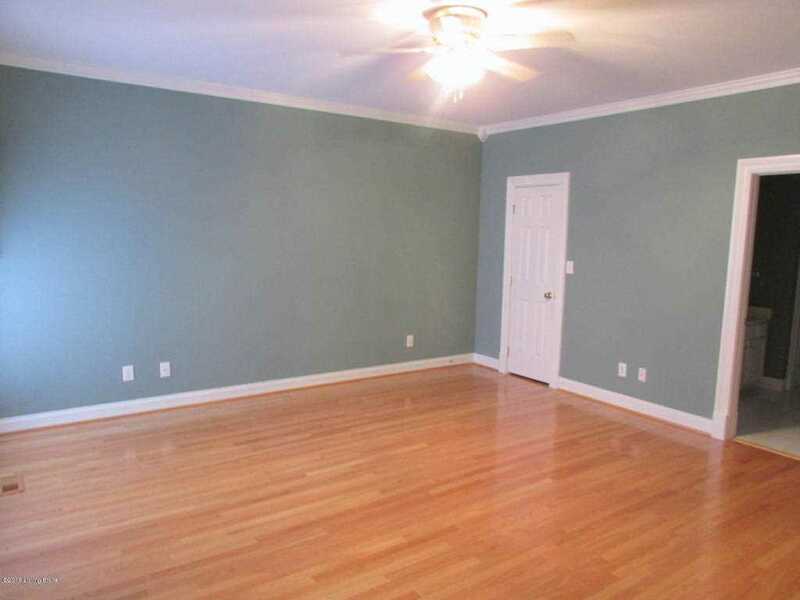 The owner suite boasts neutral paint color, triple tray ceilings, and crown molding. There are four large windows in the bedroom that offer views of the beautiful backyard. There are many features to love in the owner's bathroom. You will find two separate vanities, a whirlpool tub with shelf for towels and washcloths, a clear stained glass window, a toilet room, and a huge frameless ceramic tile shower. Make sure to look at the large walk-in closet as well! This closet isn’t the size of your typical walk-in closet. You will find that the walk-in closet is the size of some small bedrooms. There are plenty of racks and shelves for storage too. The first floor also has a half bathroom and a laundry room. The laundry room includes a sink and an abundant amount of cabinets for storage. The staircase leading to the second floor has a stunning iron spindle banister and a catwalk once you reach the top of the stairs. On the second floor, you have four carpeted bedrooms with two Jack-and-Jill bathrooms connecting to the bedrooms. The bathrooms feature ceramic tile, marble surround shower and tub, and marble top sink and vanity. The bedrooms all have built-in shelves. 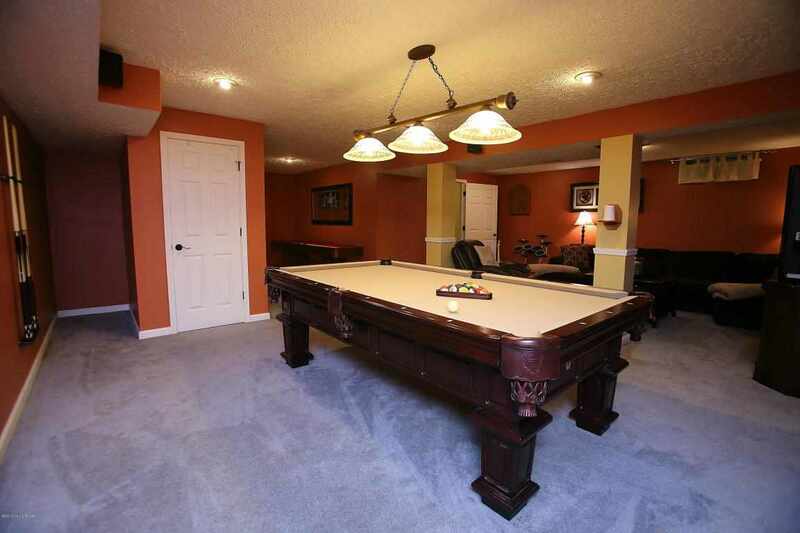 When you see the walkout basement, you’ll know this home was meant to entertain large crowds. You'll want to check out the bar area that includes ceramic tile, refrigerator, dishwasher, cabinets, can lighting, and wet bar. 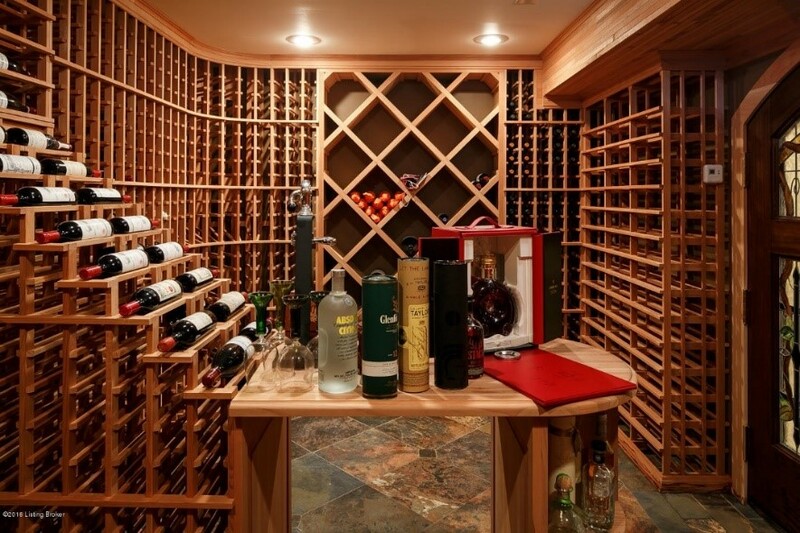 Across from the bar is an expansive wine rack that holds well over 200 bottles of wine. The built-in also includes shelving on either side of the wine rack, perfect for displaying bottles of liquor or knickknacks. In addition, you can find a family room, pool table area, bedroom (being used as an office) with egress and closet, and full bathroom. 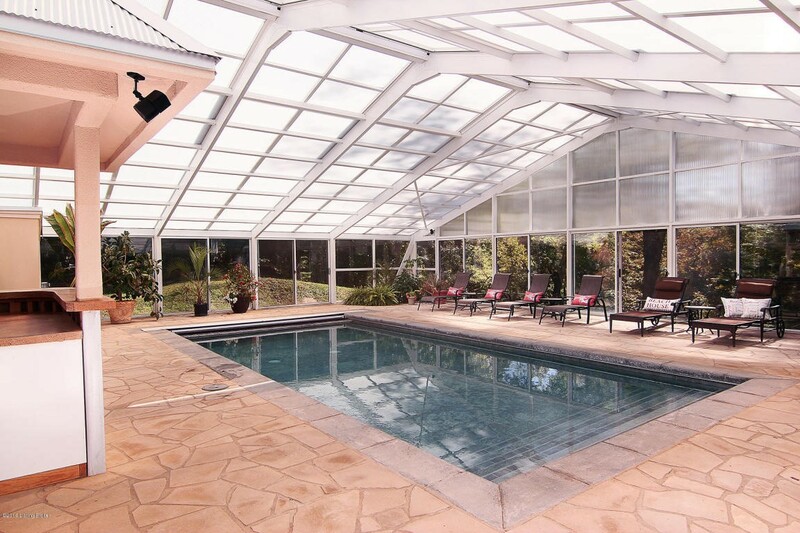 From the pool table area, you can access the covered patio. The backyard of this home is the perfect oasis. 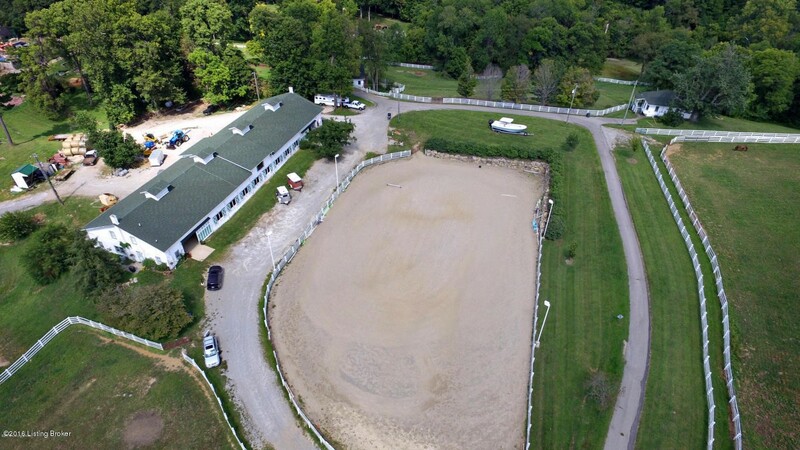 The new owners will enjoy .75 acres of lush green grass and an ample number of trees to provide shade, seclusion and an overall beautiful view. This backyard is the perfect place for a large gathering. Additional features of this home include two electrical panels, 75-gallon gas water heater, a security system, humidifier, Cat5 wiring and a three-car garage with epoxy painted floors. With this home, you get what you pay for. This home is the epitome of luxury. The Longwood neighborhood has a swimming pool, club house, tennis court, and playground, all of which are included in the yearly HOA fee. 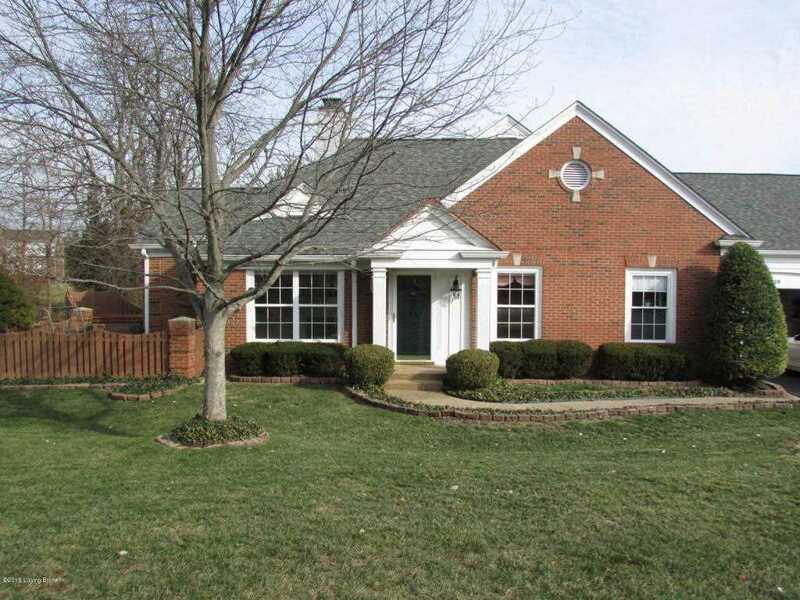 For more information on Longwood homes for sale or this particular listing, call the Hollinden Team at 502-429-3866. This patio home has sold. For more information on patio homes in Jefferson County, please contact the Hollinden Team: (502) 429-3866. Welcome to 13529 Arbor Crest Circle in the Spring Arbor patio home community. This community is located behind Forest Springs subdivision, off La Grange Rd. 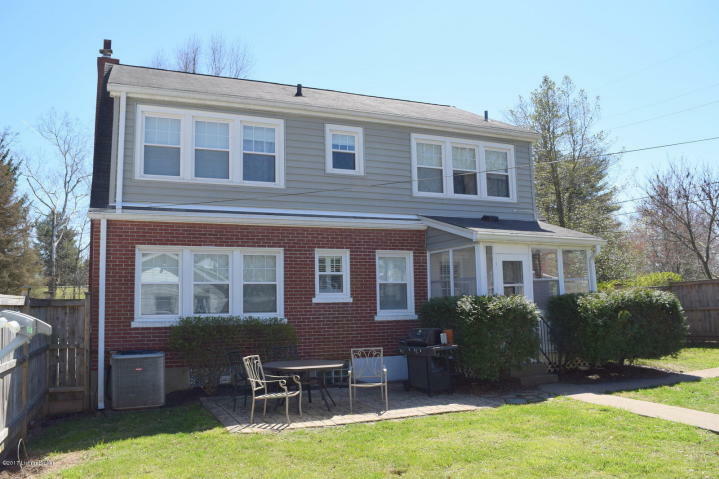 As you approach this well-maintained three bedroom and three bathroom traditional style patio home, you will notice the well-manicured lawn. This lot is more private than other lots in the community. 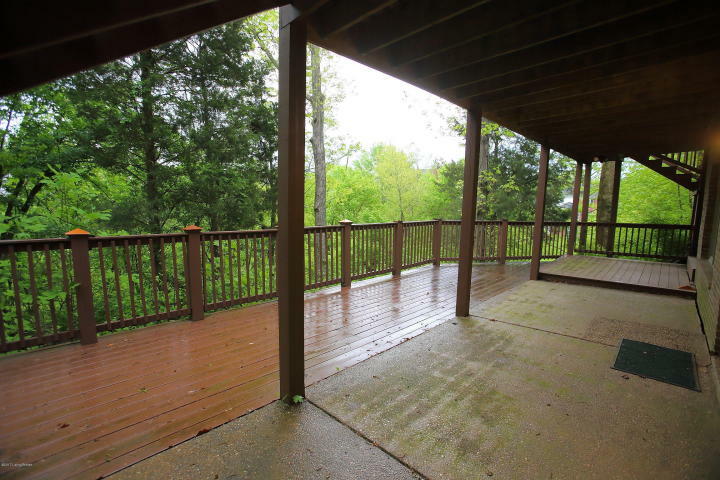 The back of the home has a large and scenic yard that backs up to Forest Springs neighborhood. Many of the other patio homes have less private lots that back up to parking lots. The front of the home has a cute covered area with columns by the front door. Enter the home and you will be greeted by a staircase with a lovely banister. To the right, you will see the formal dining room. 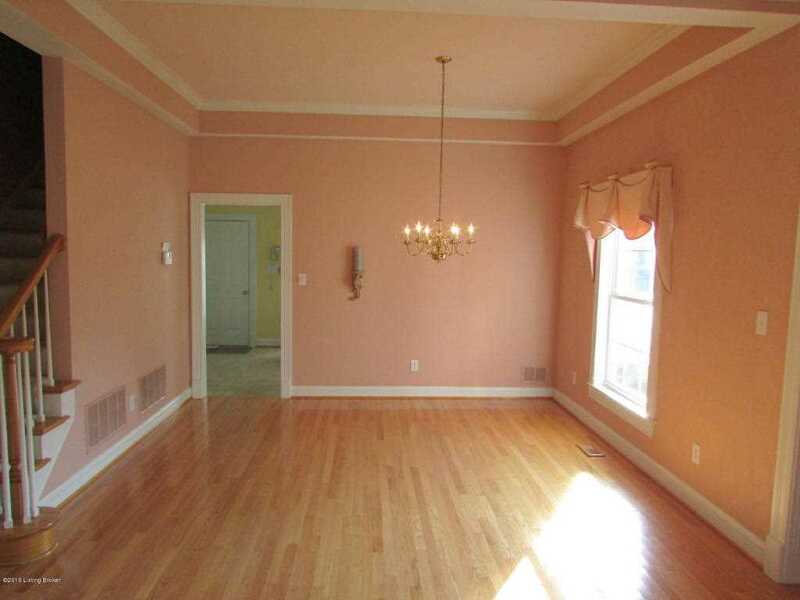 In the dining room, there is a chandelier, crown molding, and hardwood floors. From the dining room, you can enter the kitchen. 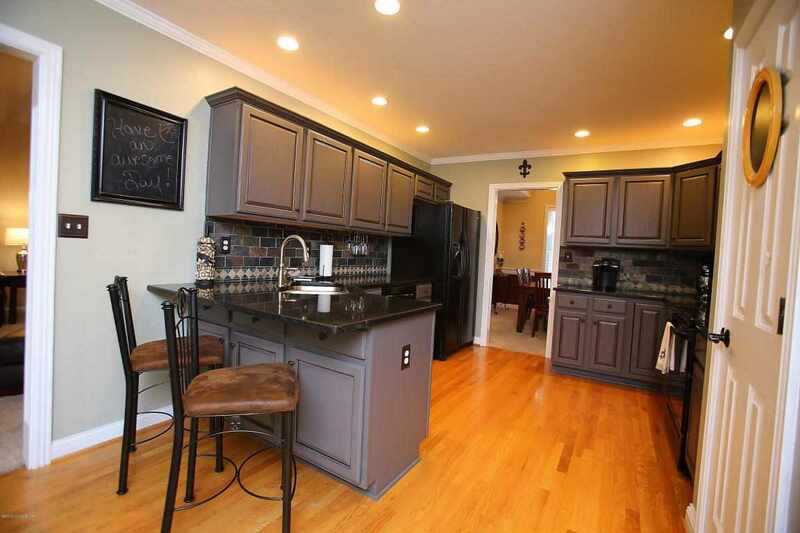 The eat-in kitchen includes can lighting, neutral paint color on the walls, and plenty of cabinets for storage. The laundry closet can be found in the kitchen as well. The laundry closet offers three spacious shelves to store laundry detergent and other cleaning supplies. Enter the large great room and you will notice the ample natural light radiating from the large windows. The great room boasts hardwood floors, tray ceilings, and a vent-less gas fireplace with remote control. There are two French doors in the great room that allow access to the patio area. The great room overlooks an exposed aggregate patio surrounded by a privacy fence, along with an additional area with hot tub and private fence. 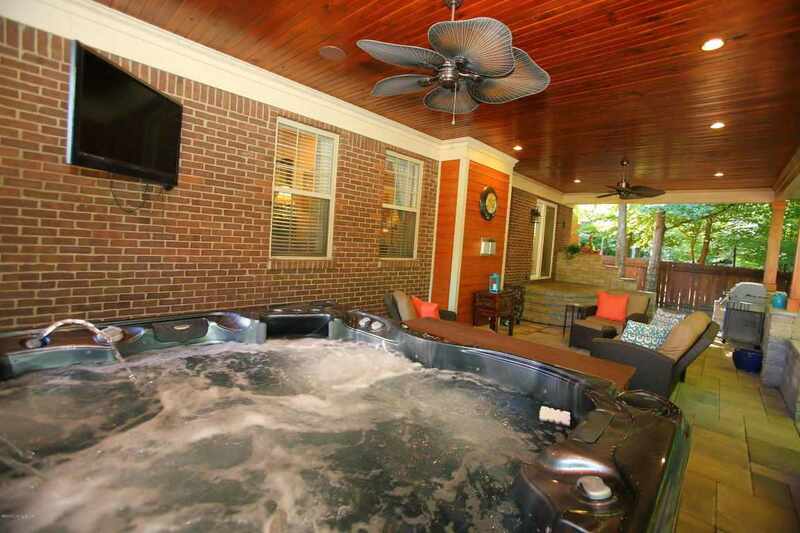 The hot tub can be left to the new buyer if desired. There are two bedrooms on the first floor. 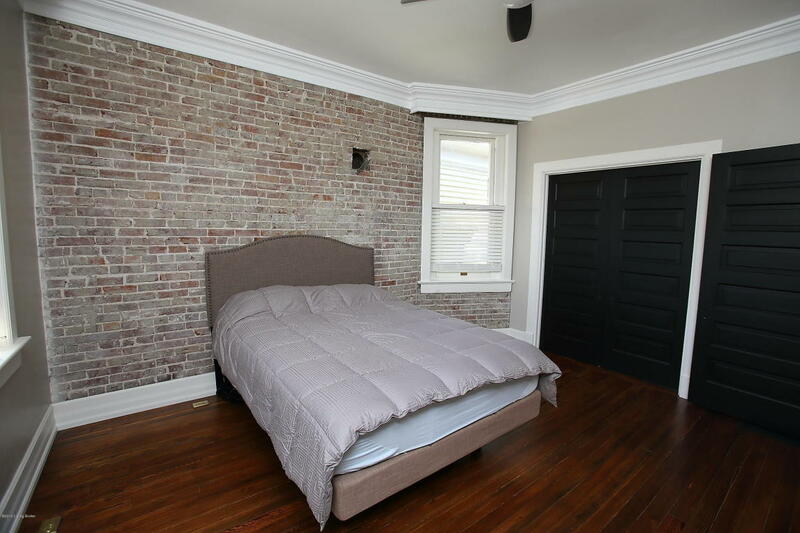 The first bedroom includes crown molding, two large windows, hardwood flooring, and a double door closet. The first owner’s suite is located on the first floor. 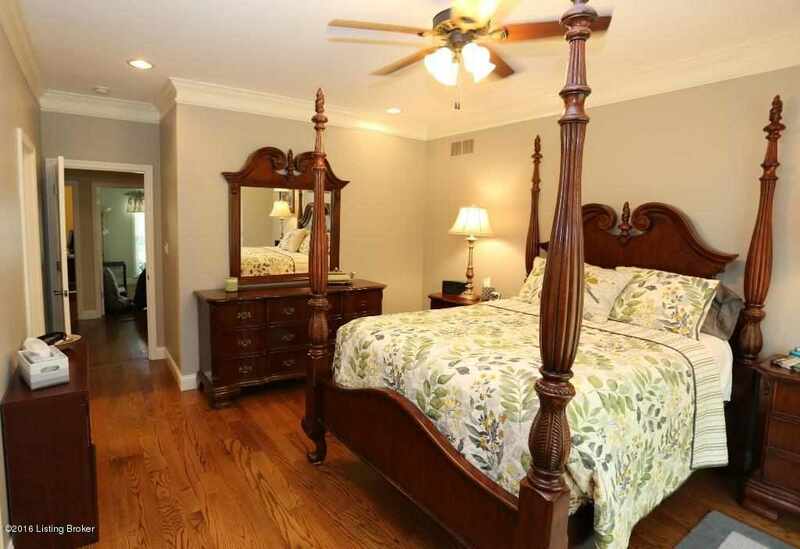 The owner’s suite features hardwood flooring, a ceiling fan, and crown molding. The owner’s bathroom includes ceramic tile floors, a dual vanity, a linen closet, and a separate shower/toilet room with glass shower door. You will never run out of storage space in the owner’s walk-in closet. The closet includes plenty of shelving to store clothing and other personal items. There is also a second full bathroom on the first floor. This bathroom has a shower/tub combo and ceramic tile flooring. Moving to the second floor you will find the second owner’s suite. 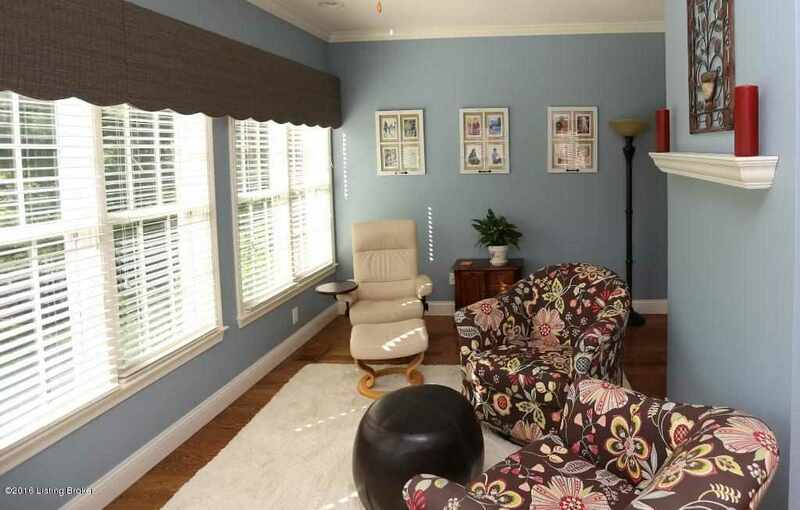 This owner’s suite includes a ceiling fan, neutral paint color, and crown molding. 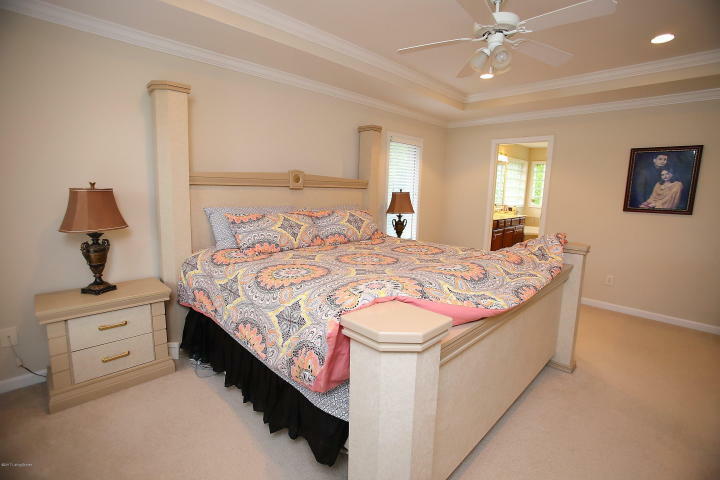 There is a private bathroom in this owner’s suite, as well as a large walk-in closet. 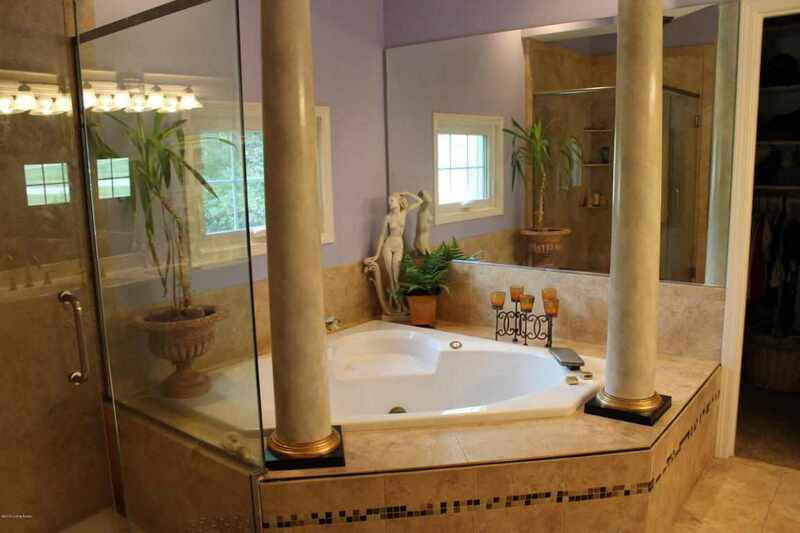 The bathroom has a glass shower door and ceramic tile flooring. Also on the second floor is a craft/exercise room. This room has nice shelving for storage. From the craft/exercise room, you can access the workshop. The workshop can also be accessed from the pull-down stairs in the garage. Leaving the inside of the house and moving to the two-car garage, notice the ample amount of custom built-in storage cabinets, perfect for keeping your garage organized. 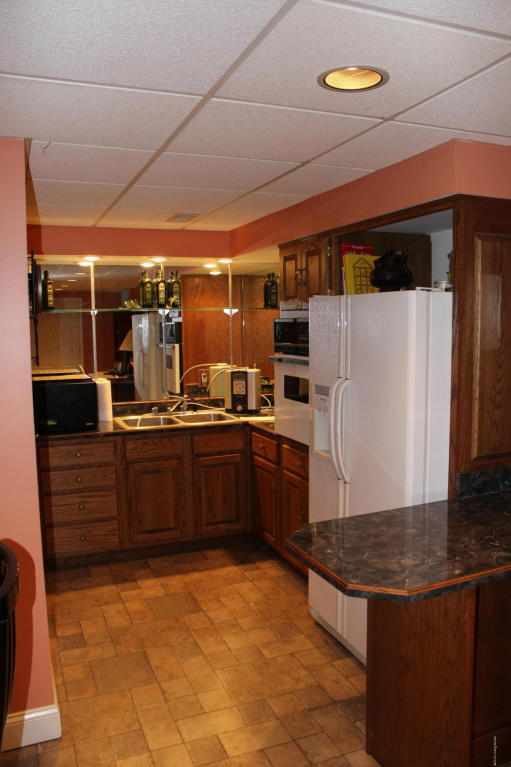 In addition, the garage includes a sink and it is heated whenever desired. It is not often that units in this community are listed. 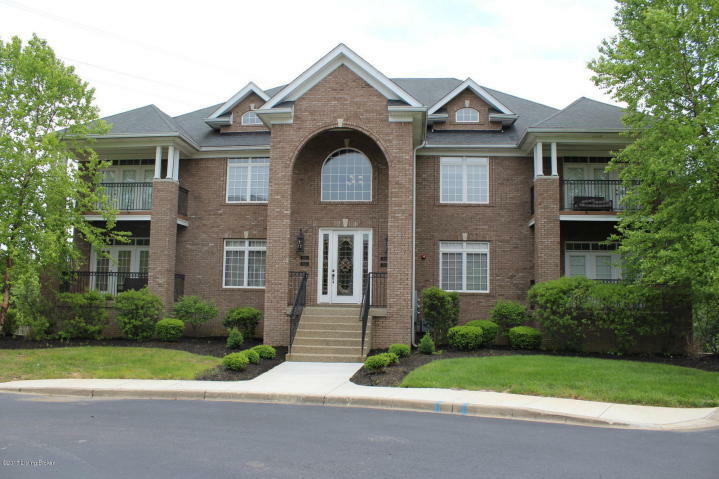 This is your perfect opportunity to move into a great unit in a desirable area. Living in a patio home, you can enjoy maintenance free living without sacrificing space. Spring Arbor is close to expressways and shopping. Spring Arbor is only minutes away from I-64 or I-71 just off the Snyder Freeway at LaGrange Rd or Old Henry Rd. For grocery shopping, Kroger is within walking distance of Spring Arbor. Immediate possession is possible. Call us today to set up a private showing! 3547 St. Andrews Village Circle is now under contract. Stay tuned for future opportunities or call the Hollinden Team at 502-429-3866 to find out more about St. Andrews Village patio homes for sale. To Welcome to 3547 St. Andrews Village Circle in St. Andrew Village patio homes in Louisville KY. Enter this three bedroom and two full bathroom patio home and you are immediately greeted by a well-lit foyer. 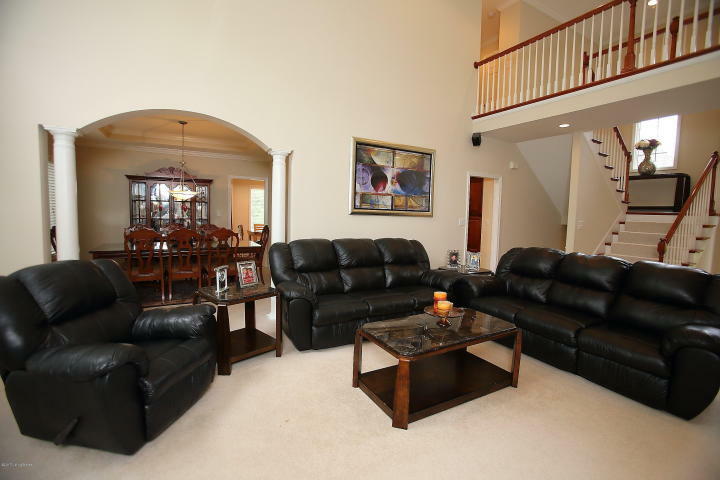 From the foyer, you are led into the spacious living room area. The living room features vaulted ceilings, a well-appointed fireplace, and a trendy drum pendant light fixture. The living room is spacious enough to arrange furniture in a way that will create a nice conversational area. Two French doors are in the living room to provide access to the Florida room. While in the living room, you will notice the neutral gray paint color throughout the home. This color allows new owners to play around with just about any color palette they choose. 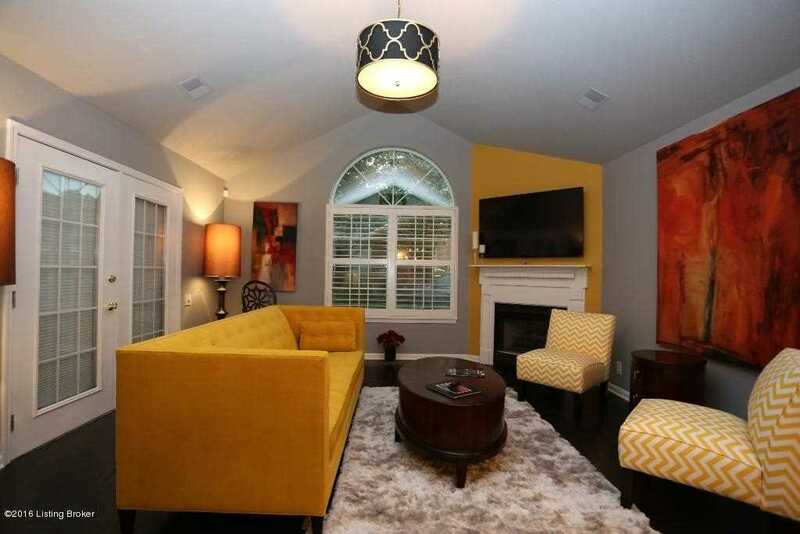 There are two accent walls that are painted a yellow tone that beautifully compliments the neutral gray tone. This color palette was carefully chosen to reflect modern day color schemes. All flooring in this home is new (except the owner's suite) laminate hardwood flooring. Any carpet found in this home is of the highest caliber. The high-quality plantation blinds throughout the home cost around $7,000 in total. Directly in front of the living room is the eating area. 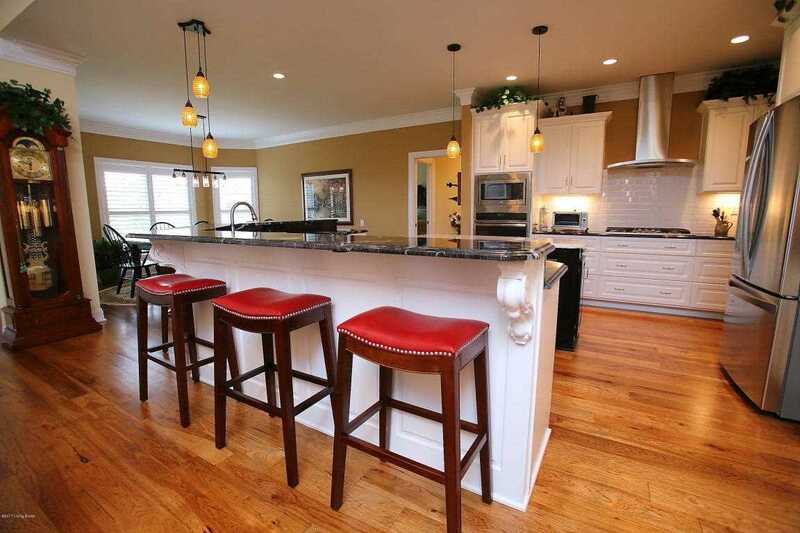 The eating area, living room, and kitchen are open to one another, creating a nice flow when entertaining. 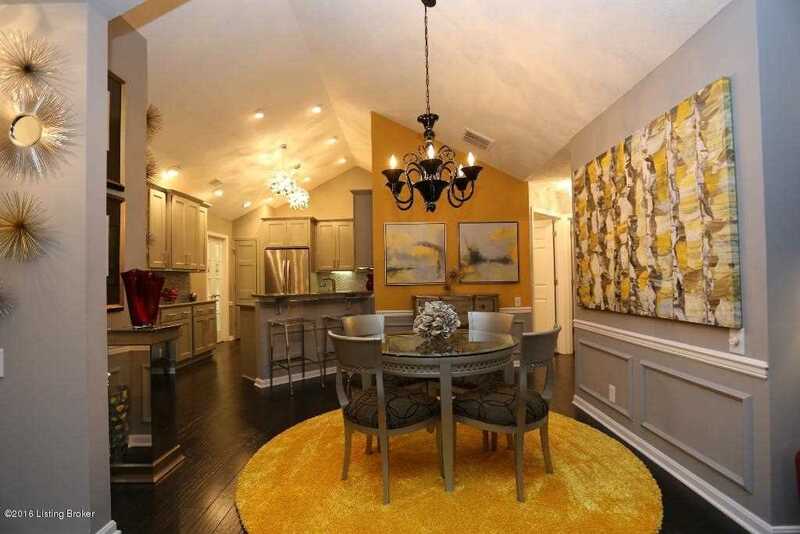 The eating area features a stylish black chandelier, wainscot, and vaulted ceilings. Please note that all the beautiful artwork that compliments this home so well will be available to purchase. The eating area flows into the fully updated kitchen. In the kitchen, you will see a grayish tone quartz countertop, gray cabinetry, silver tone tile backsplash, and stainless steel appliances. Lighting will never be an issue in this kitchen as there are two updated pendant light fixtures, as well as can lighting lining the kitchen. The colors in the kitchen are a neutral gray palette, allowing the owners to personalize with just about any color scheme they please. 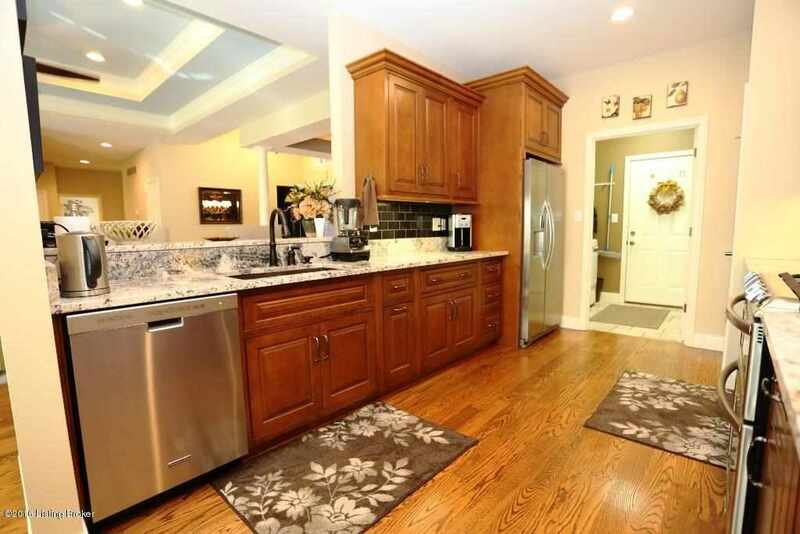 When viewing the kitchen, note the two custom-built French doors that lead to the oversized pantry area. 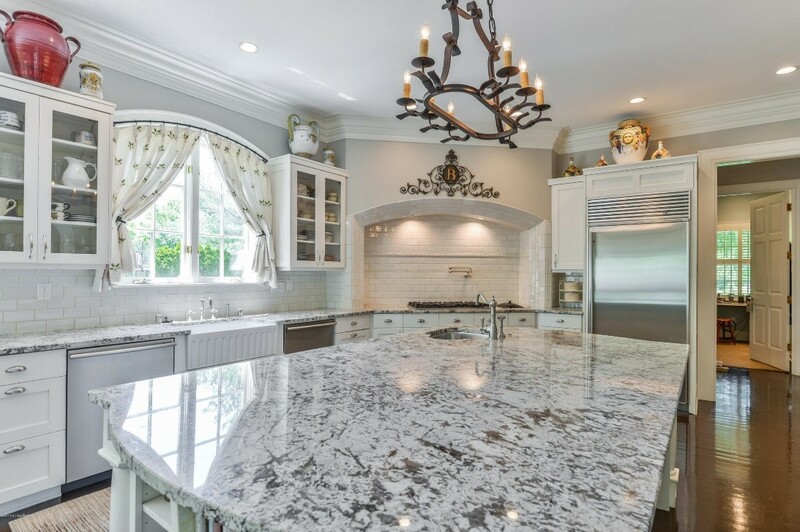 It is touches like this that add so much elegance and personality to a kitchen. Exit the kitchen and walk down the hallway and you will find the first bedroom on your right. 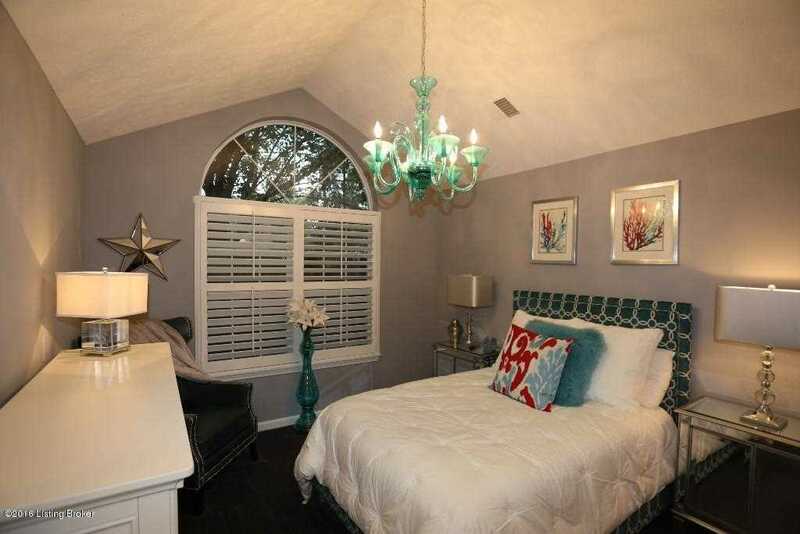 The first bedroom includes a chic turquoise chandelier, double door closet, large windows, and vaulted ceilings. Across the hall from the first bedroom is a full bathroom. This full bathroom is much larger than most guest full bathrooms. The neutral gray walls paired with the white vanity and bathtub creates a clean and crisp appearance to this bathroom. The border of the walls is lined with a silver tone tile, adding pizazz to the neutral style bathroom. That same tile runs down the middle of the wall by the bathtub. If you look closely while viewing the pictures, you can find a small figurine of a man diving into the bathtub! Other features of this full bathroom include a beige tone tile floor, modern style mirror, can lighting, and an updated light fixture. Next, we will move into the second bedroom. Like the first bedroom, the second bedroom features double closet doors, vaulted ceilings, and a similar chic white chandelier. 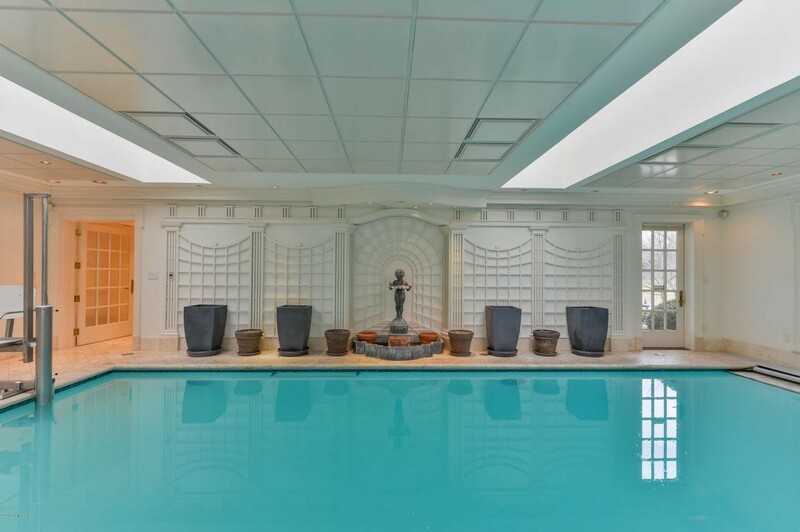 The owner's suite is sure to impress any buyer. The owner's suite boasts vaulted ceiling, modern style chandelier, large windows, and carpet to keep your feet warm on cold mornings. Walk through the French doors in the owner's suite and you have arrived in the luxurious owner's bathroom. The owner's bathroom includes double vanities, ample lighting, pewter colored modern mirrors, AMPLE cabinetry, and tile flooring. There is another set of French doors that lead to the toilet and showering area within the owner's bathroom. Also, located in the owner's bathroom is the large walk-in closet. 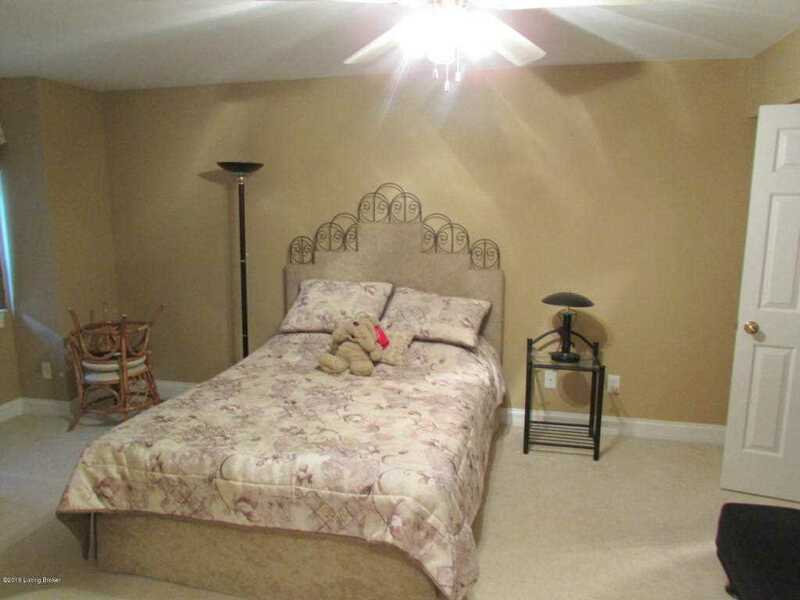 Moving to the Florida room in the home, you will find a ceiling fan and plenty of space for entertaining. The blinds in the Florida room are controlled by a remote control! The fan in the sunroom is unique compared to most fans as it looks like a bladed propeller and moves around more air than your average fan. There are three high definition flat screen televisions mounted on the walls that will remain. 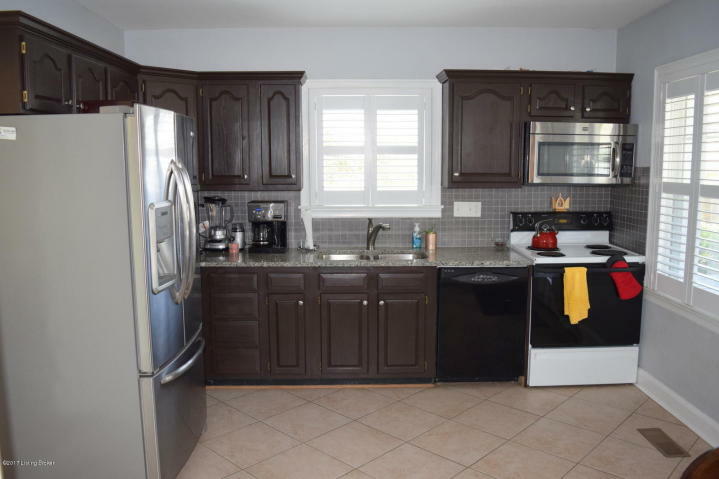 Additional features in this home include handicap accessibility; new water heater in 2016; regularly serviced Bryan home generator; and alarm system. Saint Andrews Village also has a pool and clubhouse that is handicap accessible. It is rare to find a patio home community that has a pool and clubhouse, especially as nice as Saint Andrews Village pool and clubhouse. In addition, the condo is located beside Standard Golf Club. 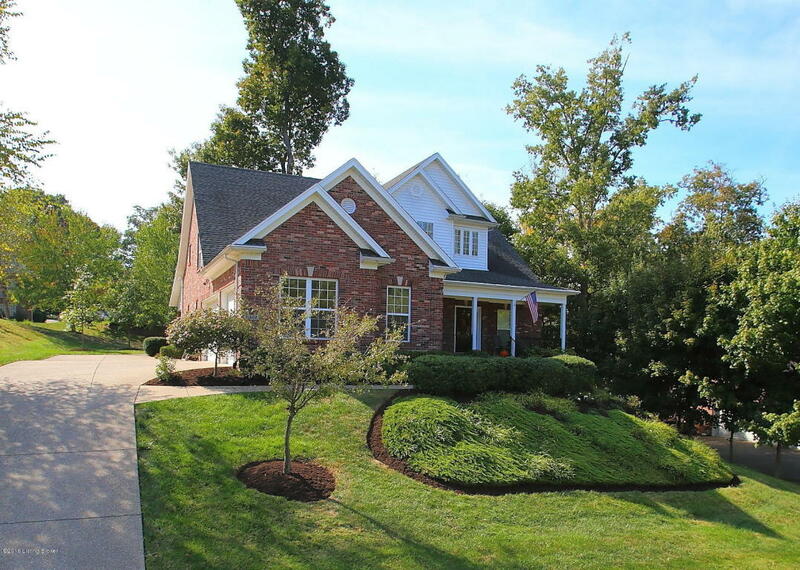 This condo is conveniently located off Brownsboro Road (Hwy 22). For grocery shopping, there is a Kroger down the street. For more information on St. Andrews Villages patio homes for sale, call the Hollinden Team at 502-429-3866.